The new drive up book returns on the north side of the building will open for use on Monday, April 1st. 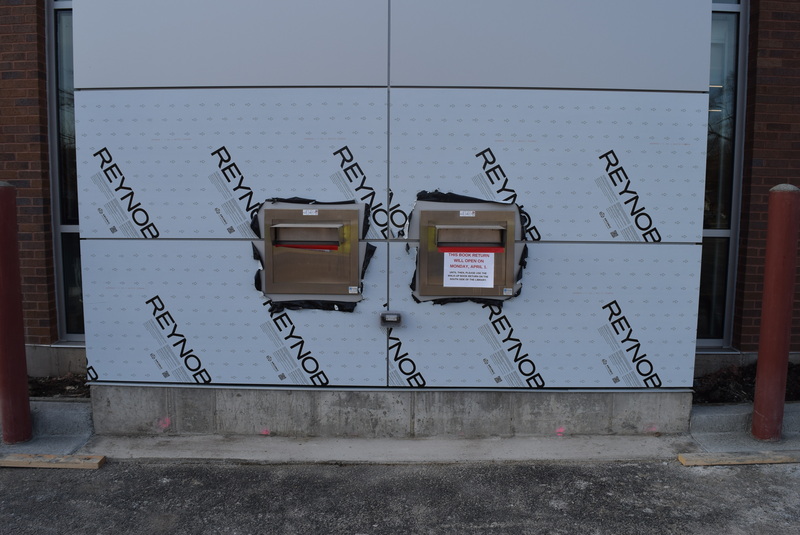 The old walk-up book return on the south side of the building will permanently close at the end of the day on Monday, April 1st. 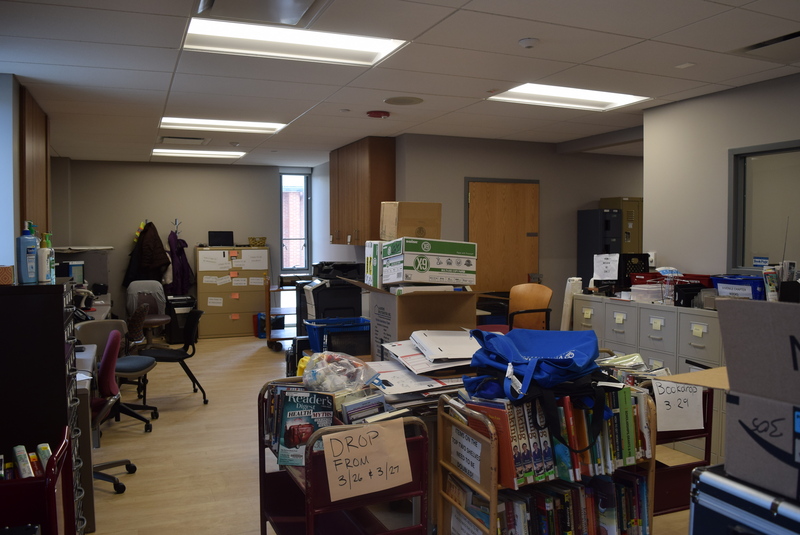 Staff have packed up in preparation for moving into the new addition. 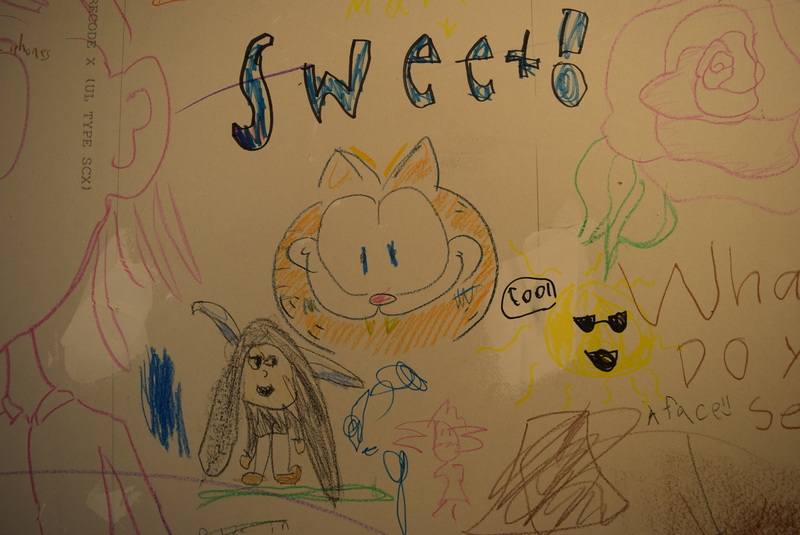 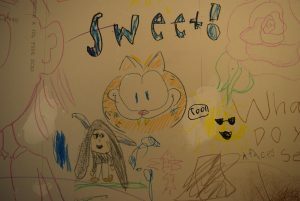 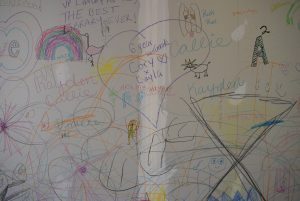 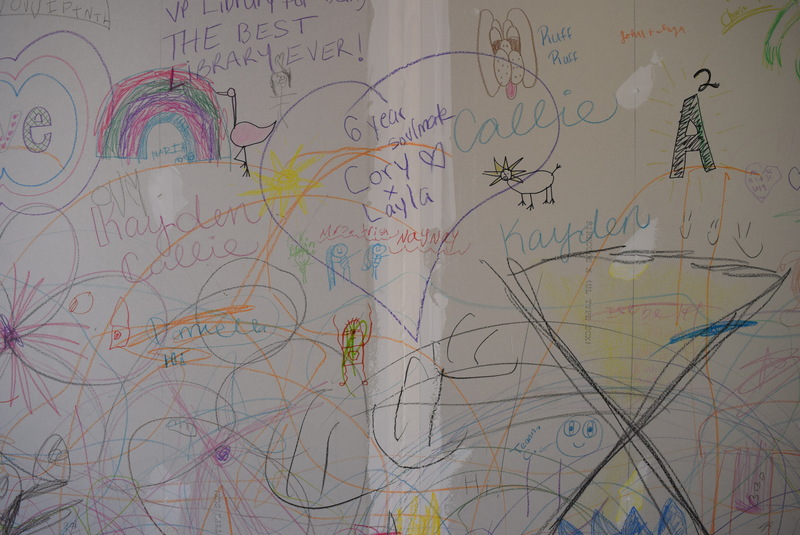 Check out some of the artwork created by our younger patrons on the temporary wall in Youth Services. 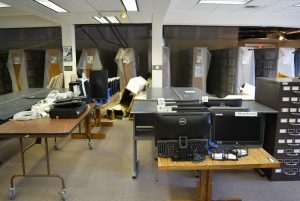 The computers have been disconnected in preparation for the move into the addition. 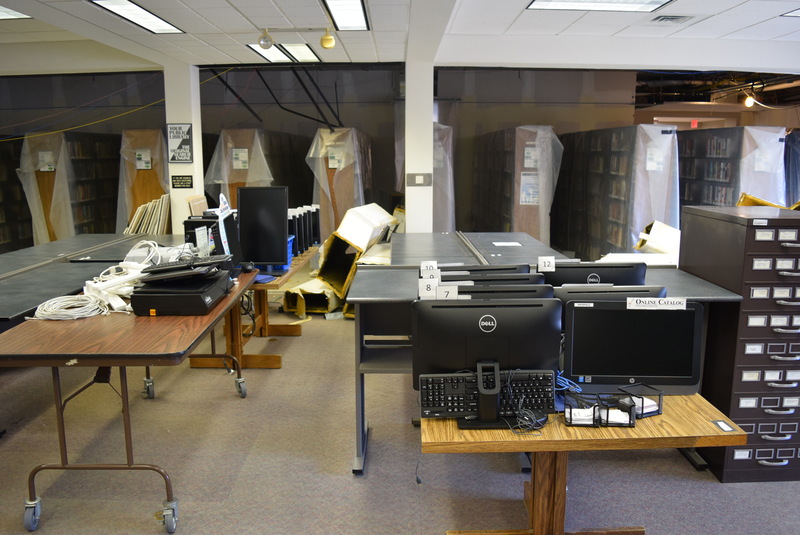 Some books and furniture have been moved into their temporary homes this week. 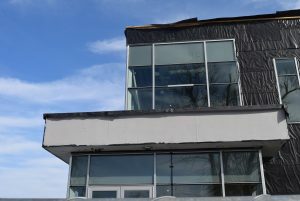 River rock is being vacuumed off the existing roof in preparation for the roof’s replacement. 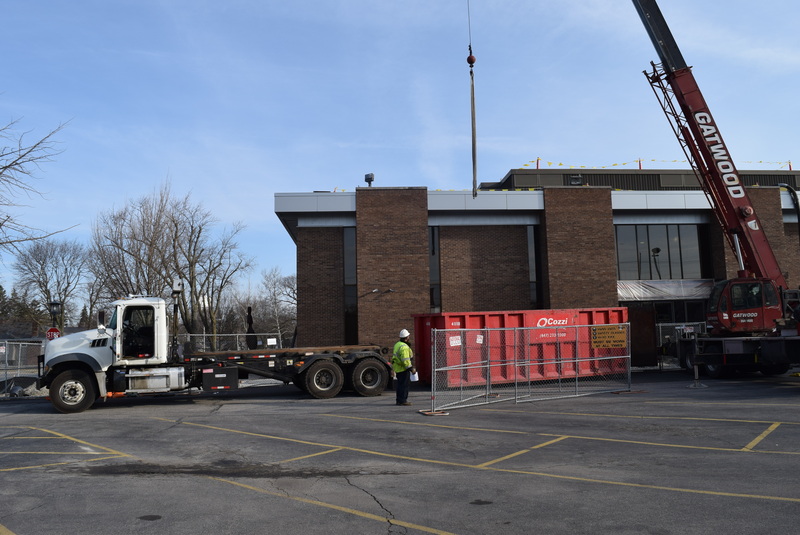 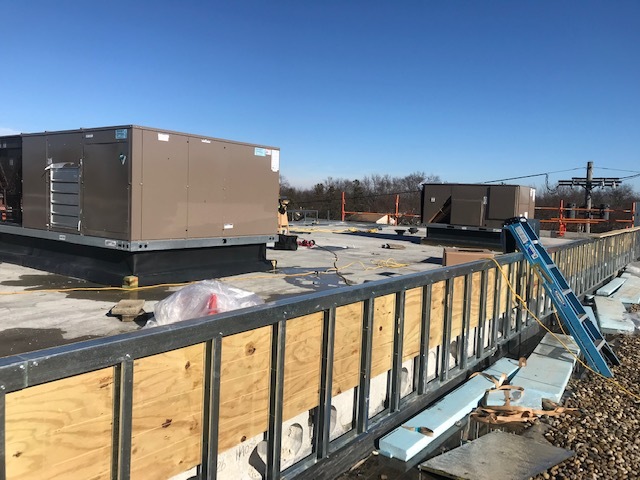 Condenser units are being removed from the existing roof in preparation for the roof’s replacement. 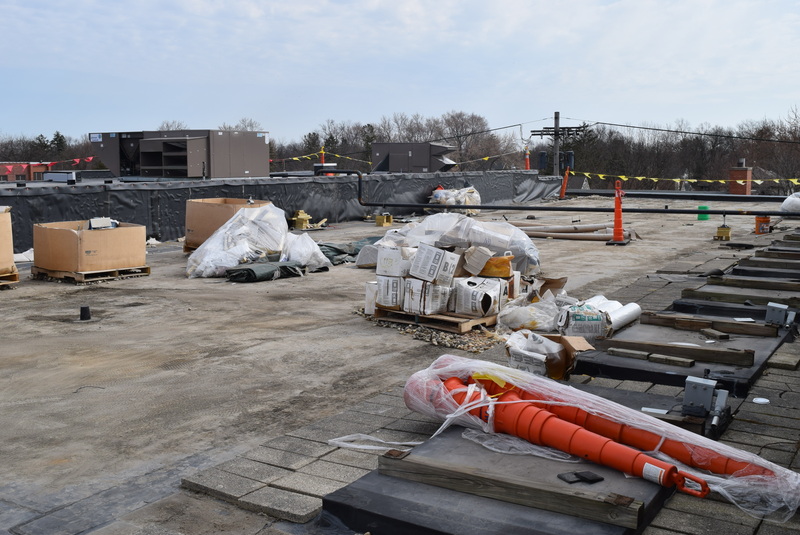 Existing roof with the river rocks and condenser units being removed. 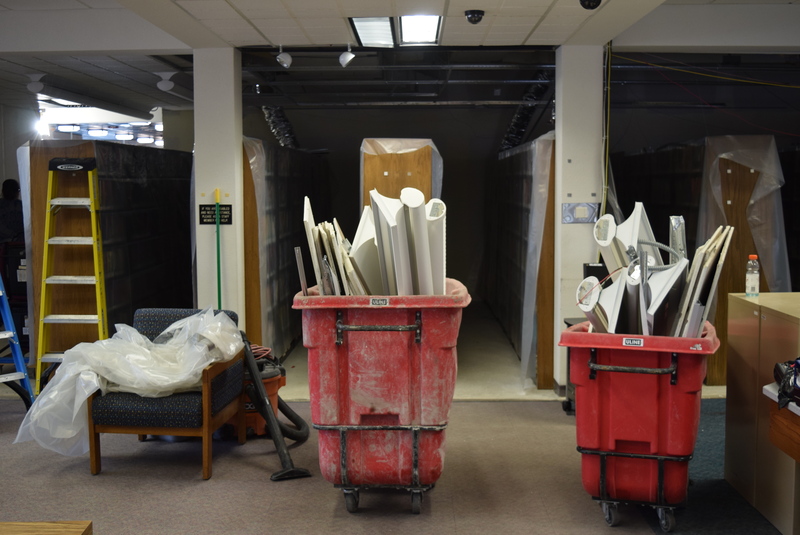 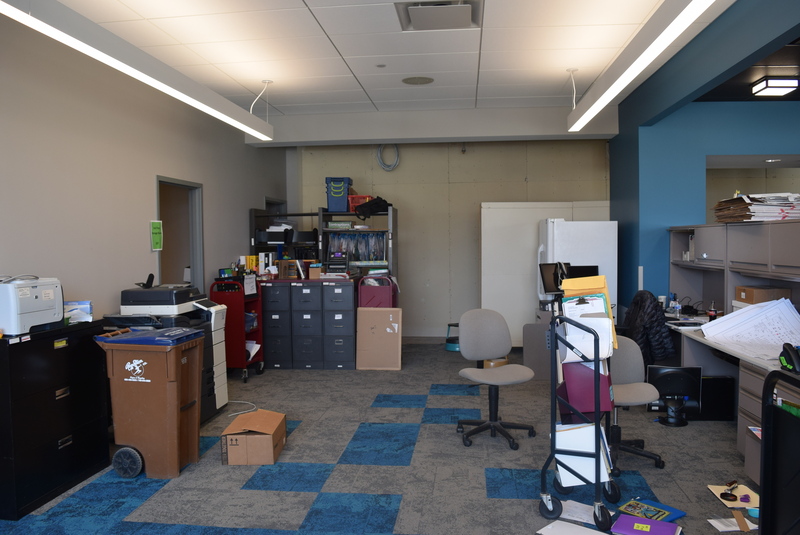 Lighting Fixtures and ceiling tiles have been removed above the stacks on the first floor. 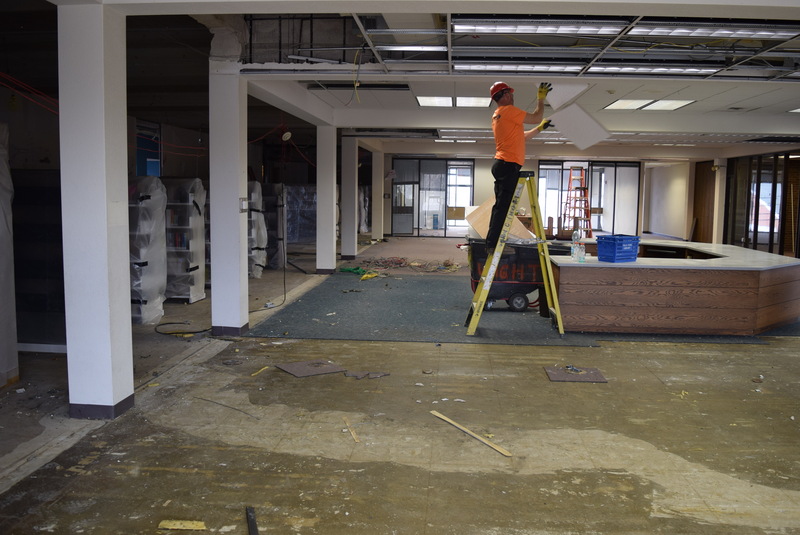 Demolition inside the existing library has begun. 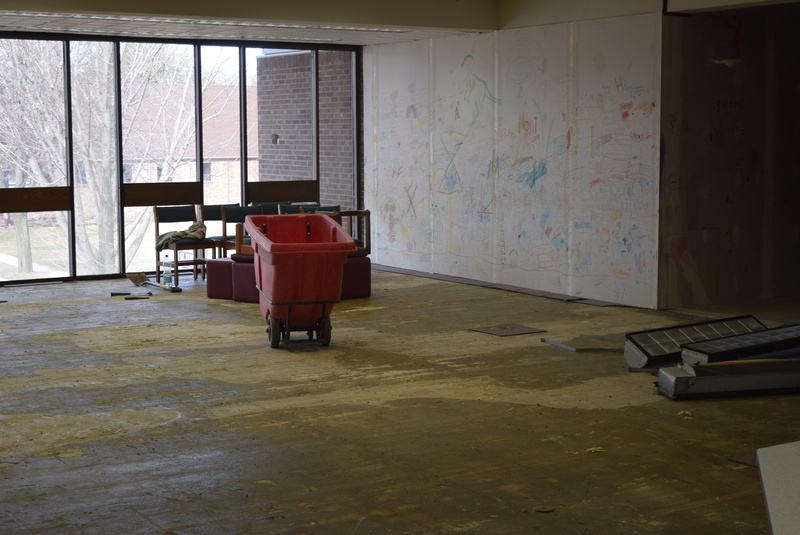 Carpet has been removed on the 2nd floor. The former Youth Services desk is ready for demolition. 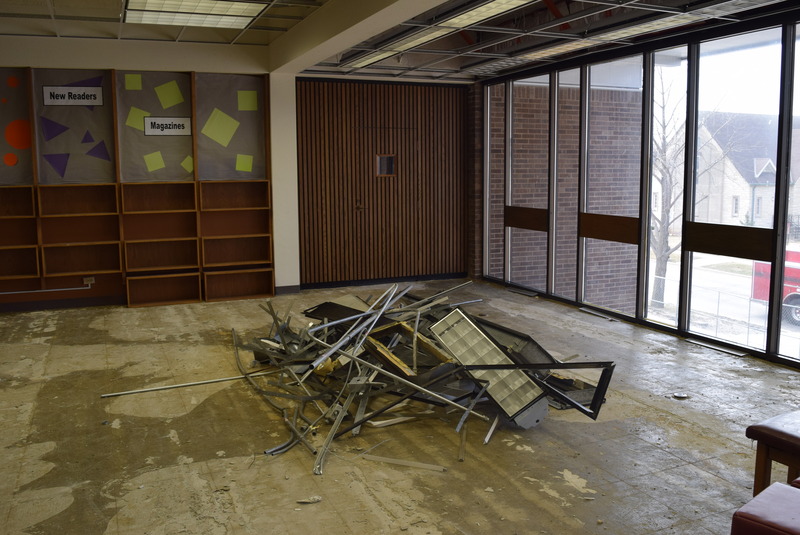 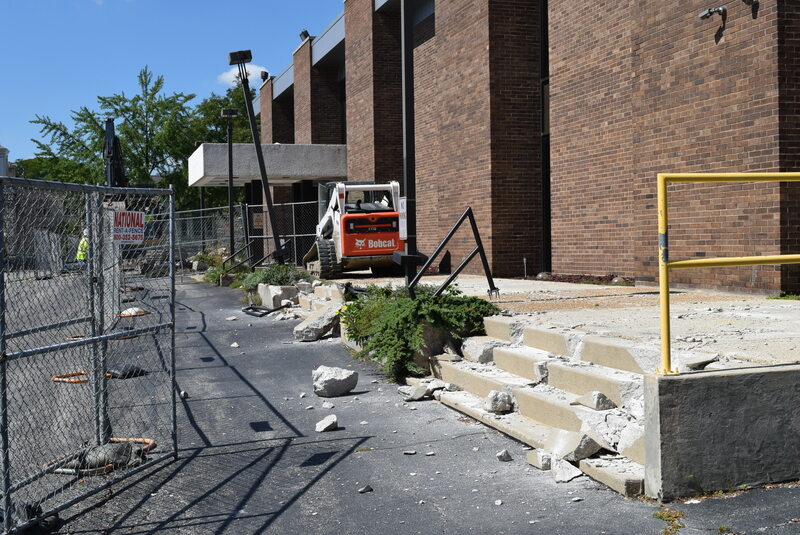 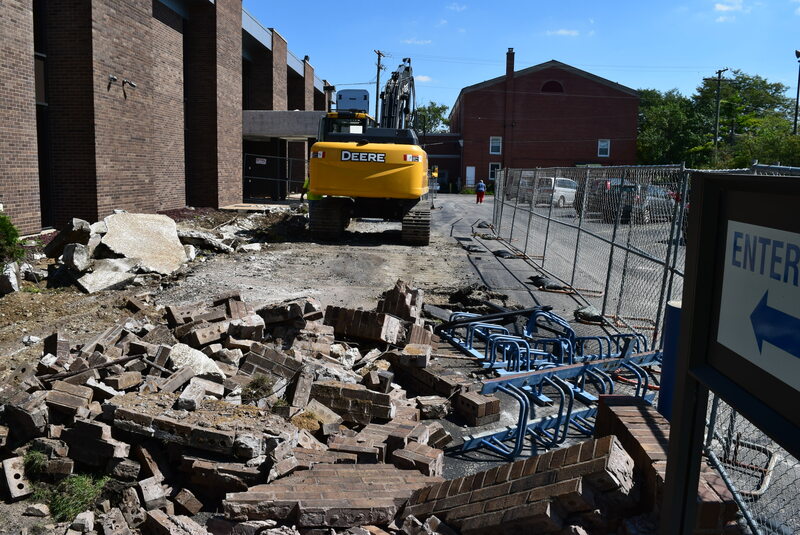 Demolition has begun of the existing library space. Staff is busy unpacking and setting up in the new space. 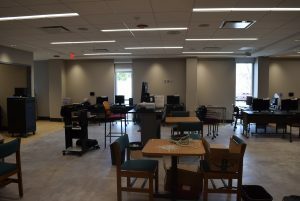 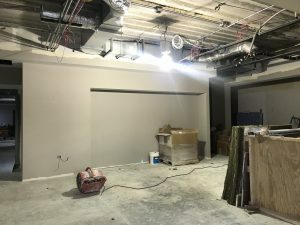 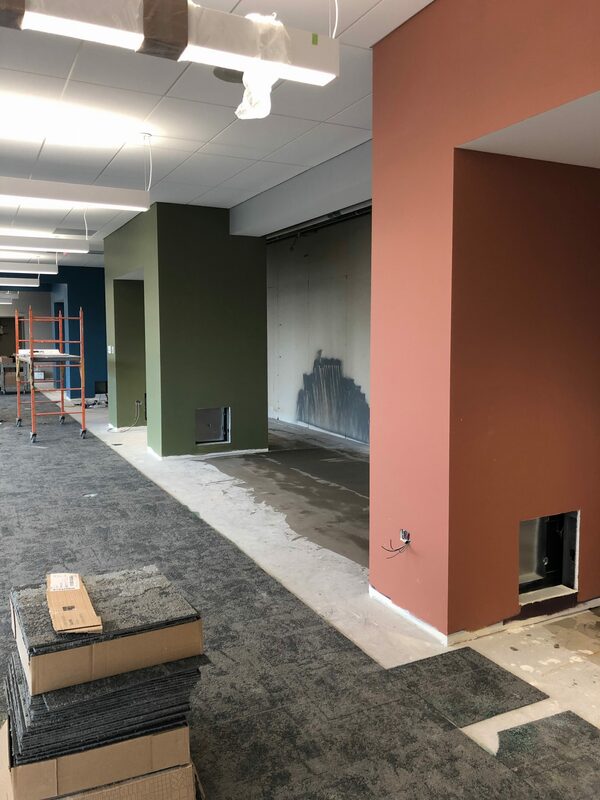 The new program room, which will temporarily house the adult computers and DVD collection, is starting to take shape. 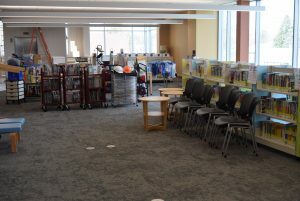 The new program room, which will temporarily hold portions of the adult collection. 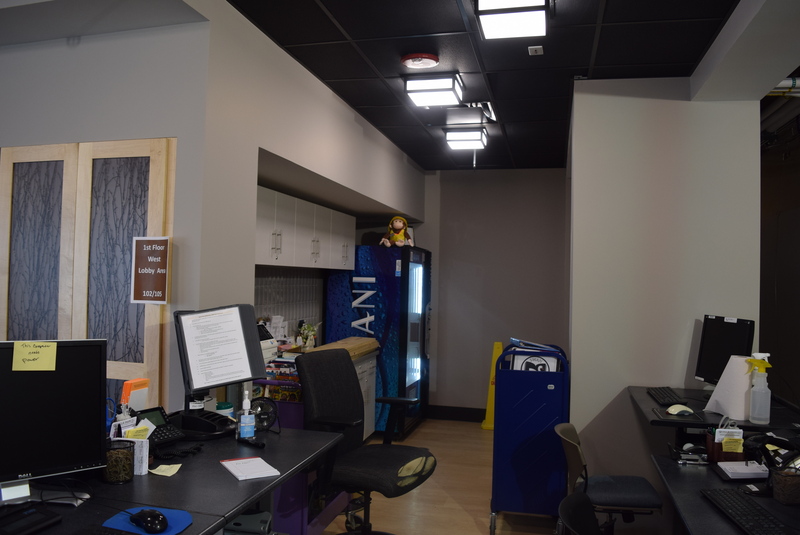 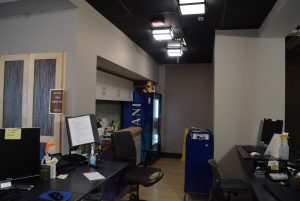 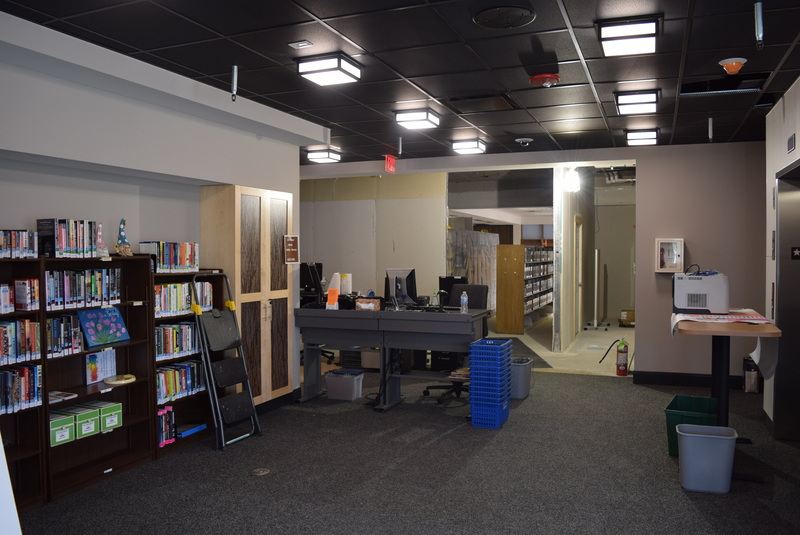 The lobby will temporarily house the new book collection and the checkout desk. 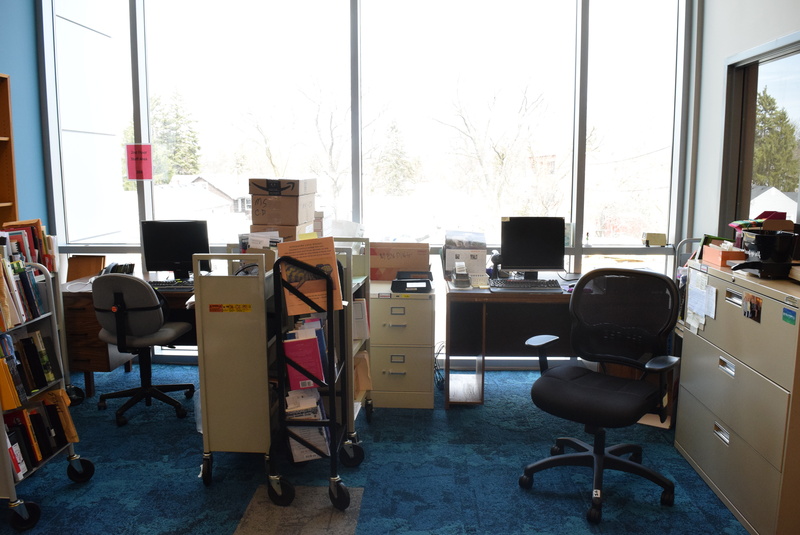 The youth services temporary desk and portions of the collection are starting to find their spots. 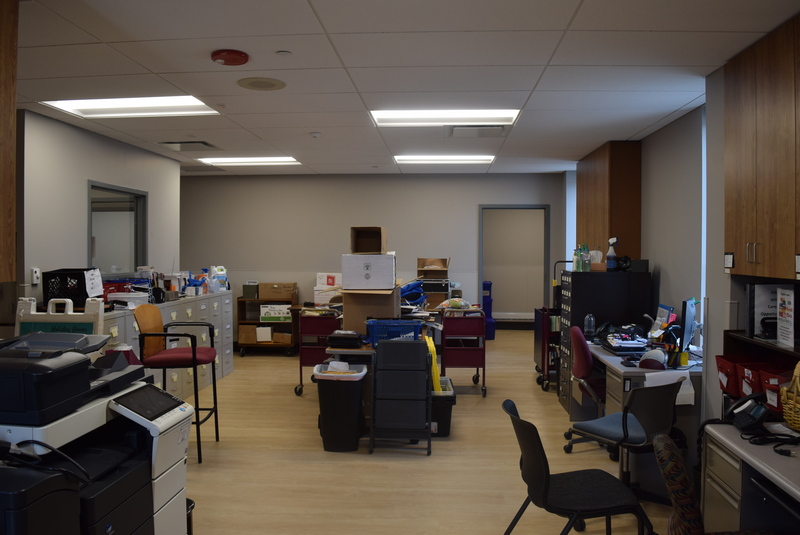 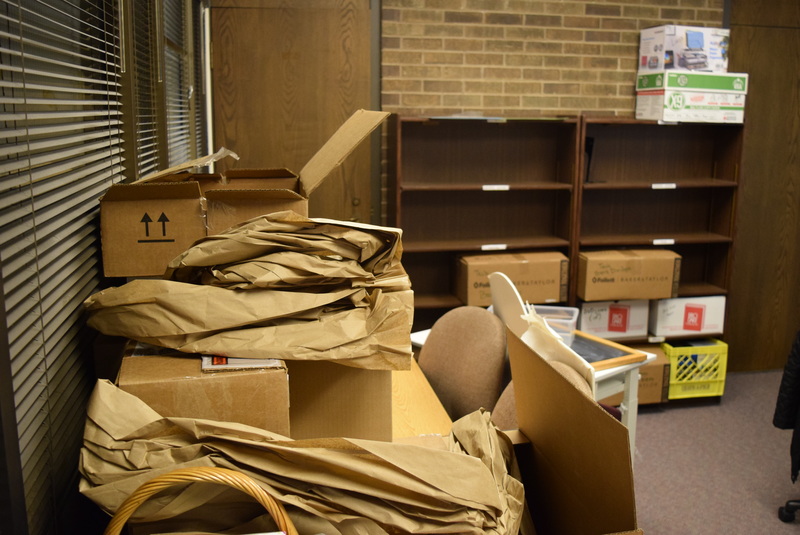 The process of unpacking is underway in the staff areas on the 2nd floor. 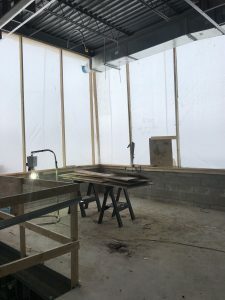 The second floor of the addition gets a lot of natural light. 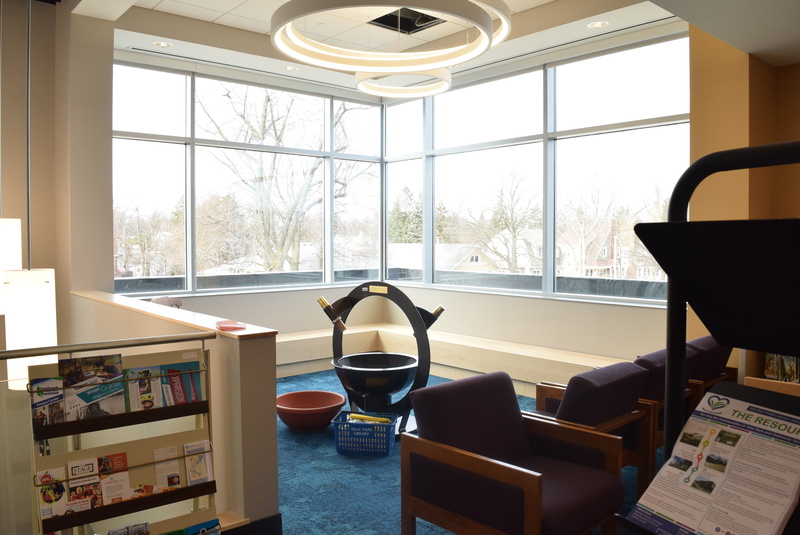 The kaleidoscope in the new seating area on the second floor. 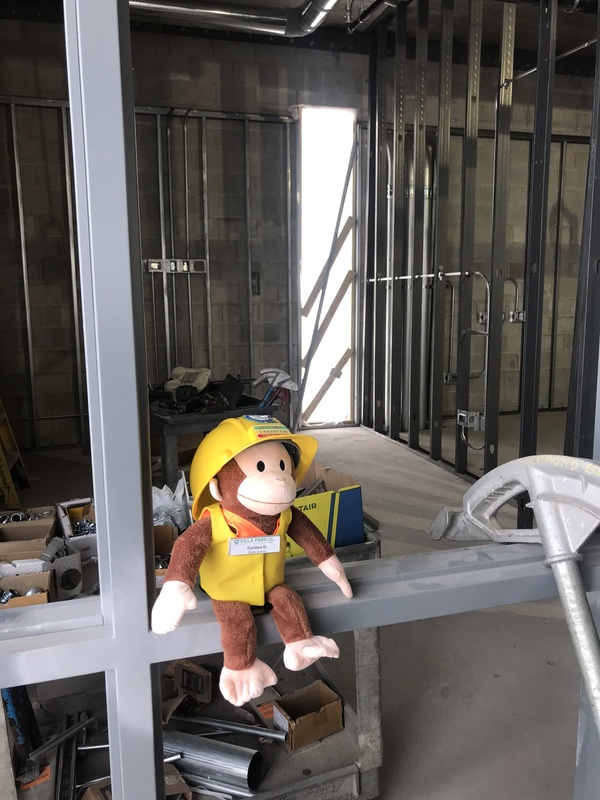 Curious G. is taking a break and watching the staff work hard to get the library ready to reopen. 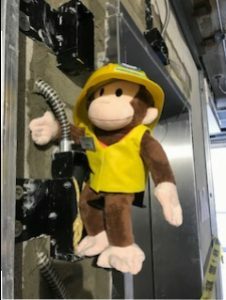 Curious G is hard at work on the new elevator. 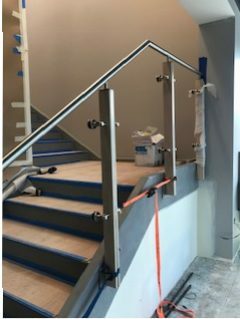 Handrails are being installed on the new stairway. 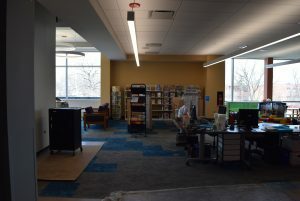 The lights above the stairs, as seen here from the 2nd floor, are operational. 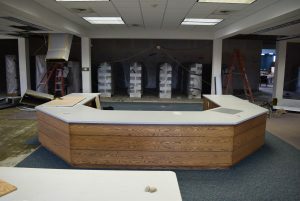 The spaces for the fire extinguisher cabinets are almost ready to go. 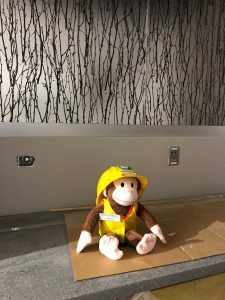 Curious G. can’t wait to see what kinds of things get checked out once the self-checkout kiosks are placed on this counter. 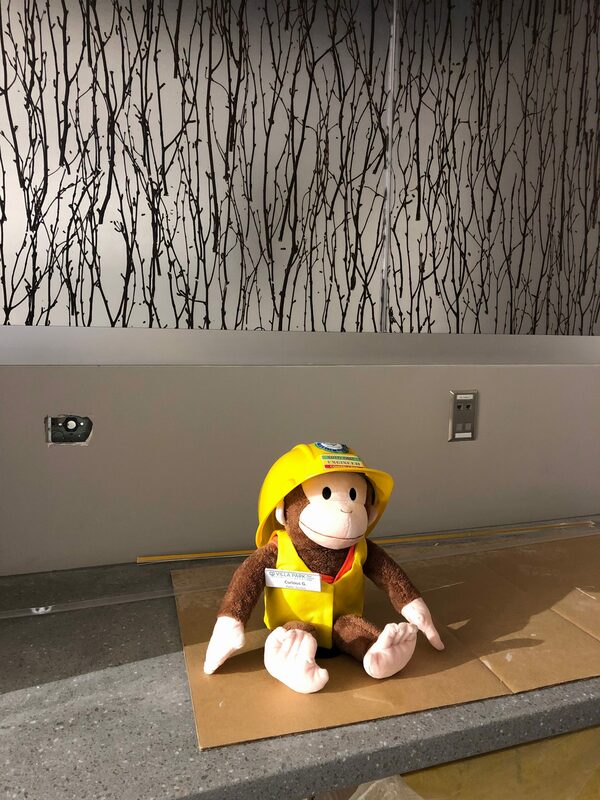 Curious G. is thrilled with the way the paint, carpet, and countertops are all starting to come together on the 2nd floor. 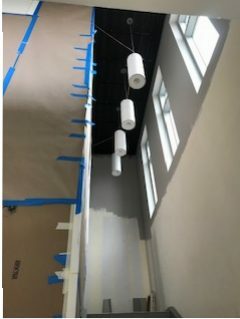 Columns have been painted on the 2nd floor. This bench on the 2nd floor is a great place to sit and watch the world go by for a bit. 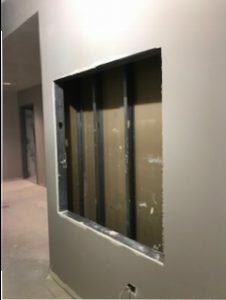 Display cases will be installed soon. The installation of the elevator has begun. 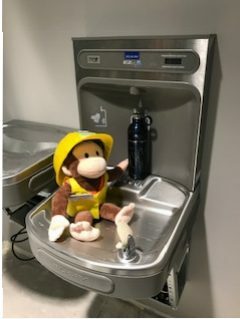 Curious G wonders how many plastic bottles we will save each year with our new water bottle fillers on each floor. 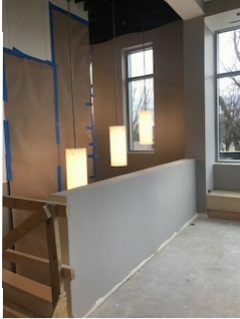 Lighting fixtures, paint, and floor tile are all progressing in the stairwell. 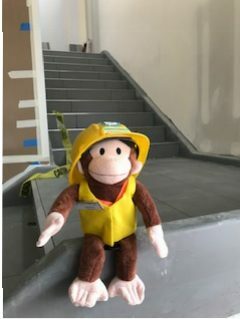 Curious G. is excited to show off the floor tile that has been installed on the stairs. 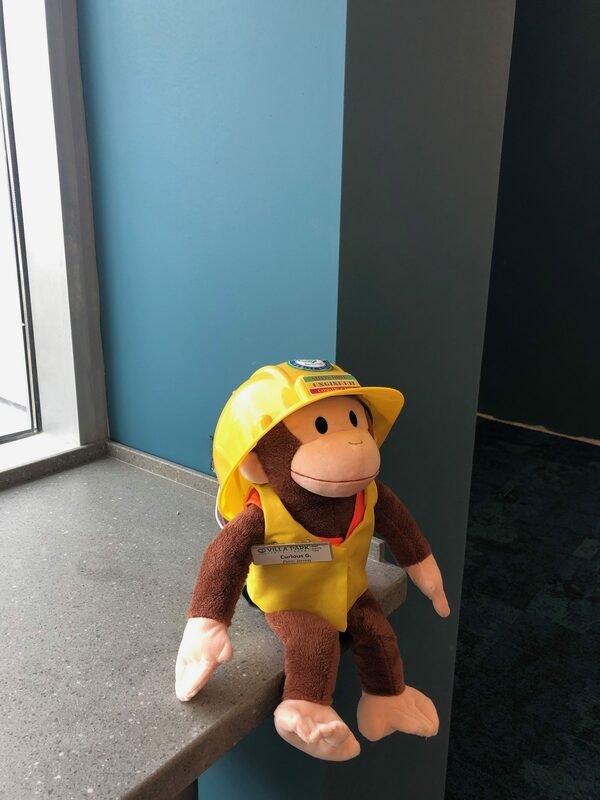 Curious G. is excited that the new drive-up book returns have been installed. 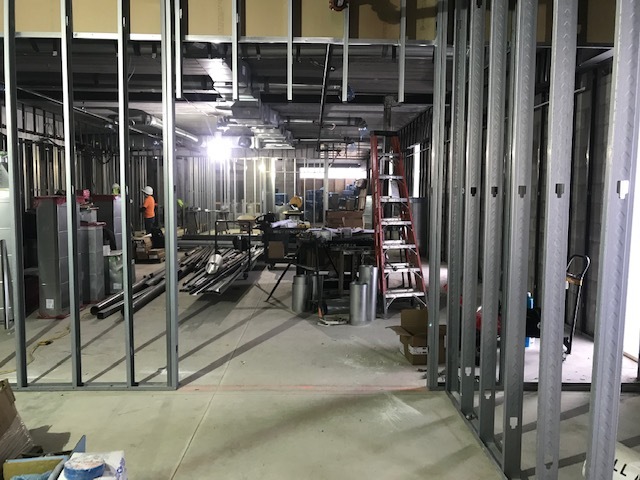 Space for shelving inside the new lobby is starting to take shape. 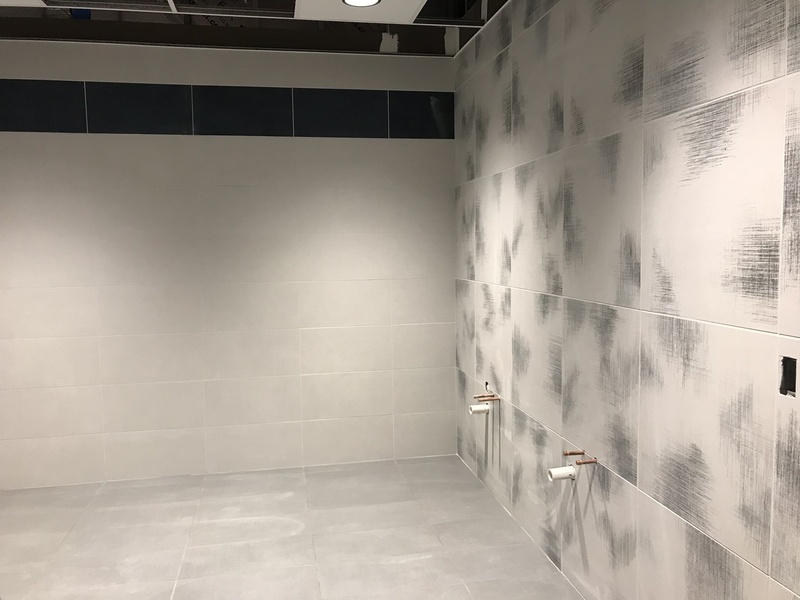 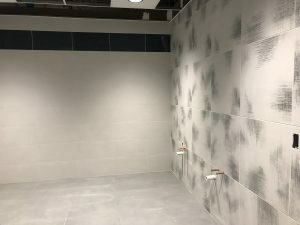 Tile has been installed in the new bathrooms. 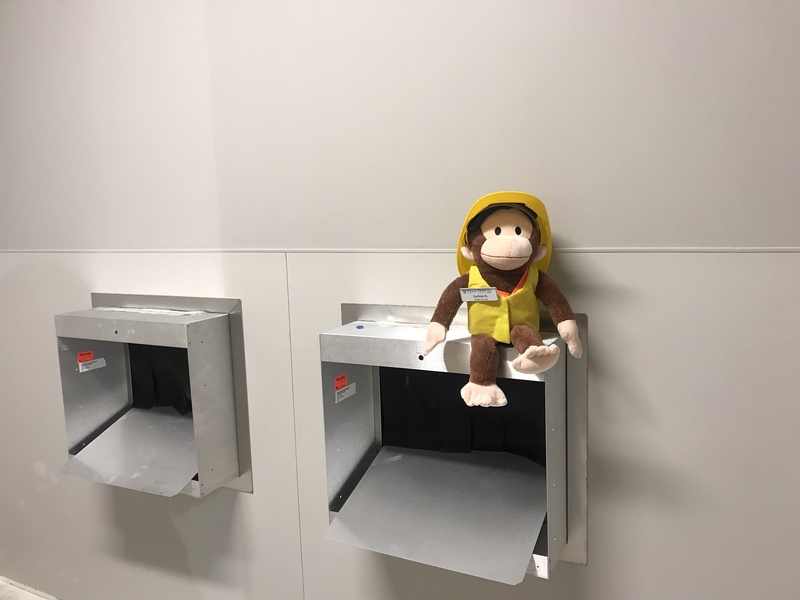 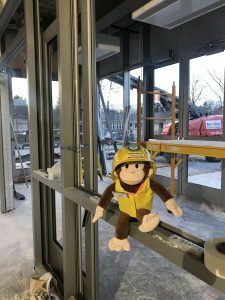 Curious G. is enjoying the new vestibule and entrance to the library. 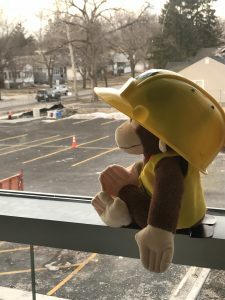 Curious G. meditates on all the exciting things to come as he gazes out over the new parking lot from the second floor. 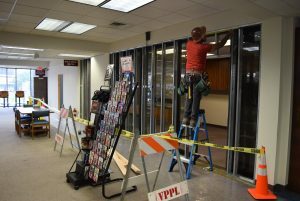 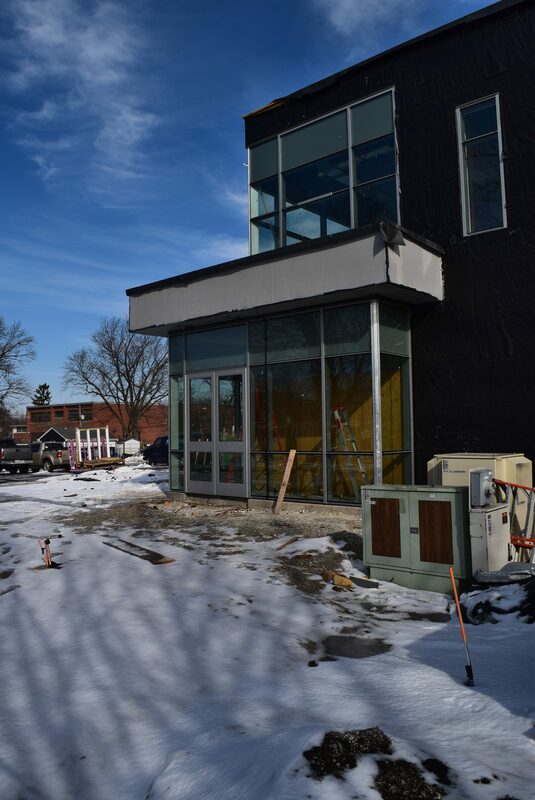 Exterior windows and doors are being installed in the library expansion. 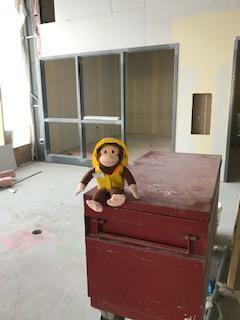 Curious G compliments the paint color chosen for areas around the new drive up book return. 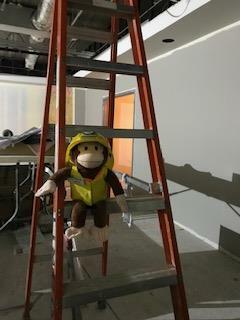 Curious G admires how the new meeting room space is coming together. Curious G can’t wait until the windows go in on the 2nd floor of the library expansion. 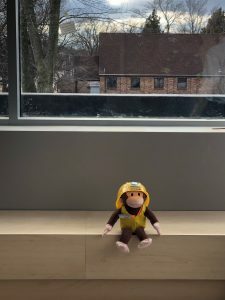 Curious G, outside the new Group Collaboration Room on the 2nd floor. 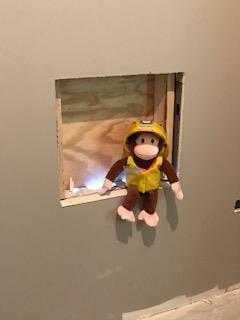 Curious G., sitting in the new drive-up book returns. 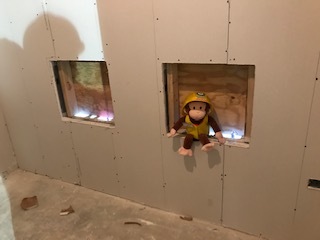 Curious G. is overseeing the installation of drywall in the new addition. 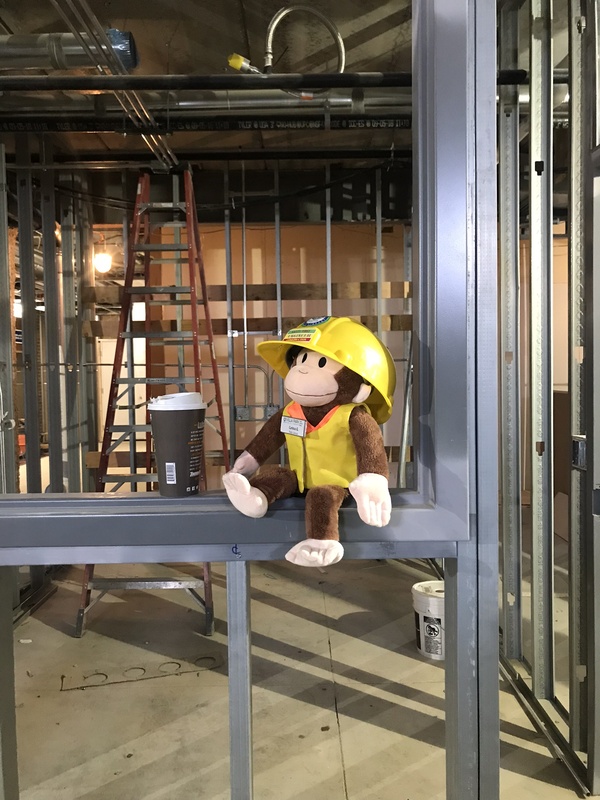 Curious G, taking a coffee break outside the Head of Circulation’s office in the new expansion. 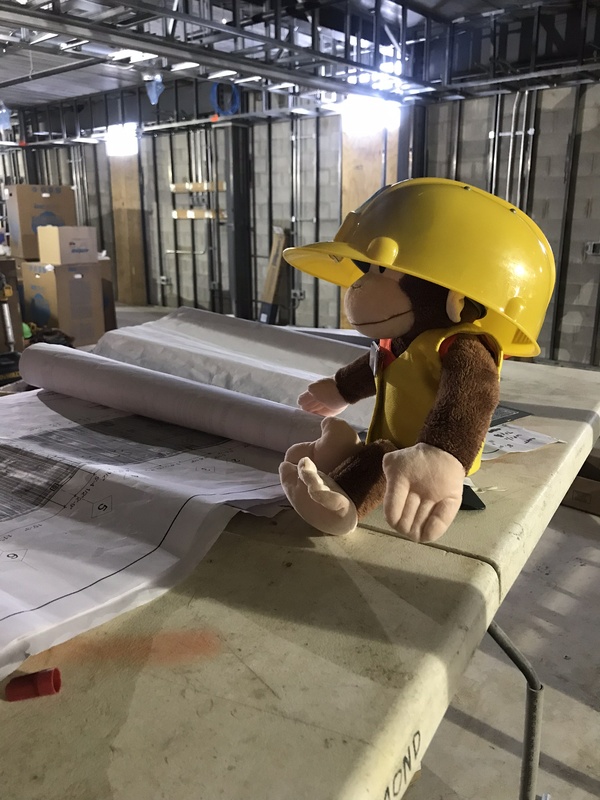 Curious G, feeding his curiosity by examining the plans for the library’s renovation project. 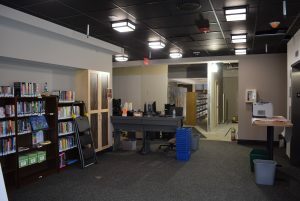 The staircase has been installed inside the library’s new entrance. 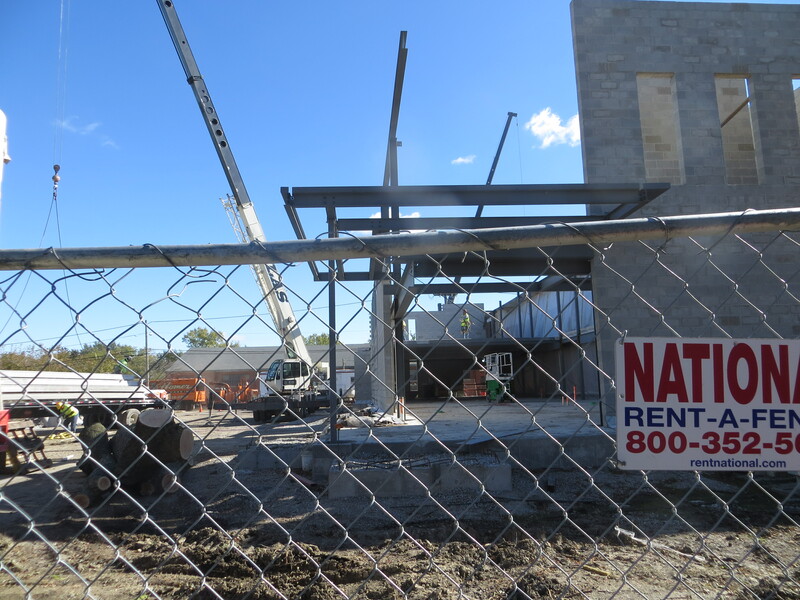 The second floor of the library’s expansion will have an abundance of natural light due to the large windows. 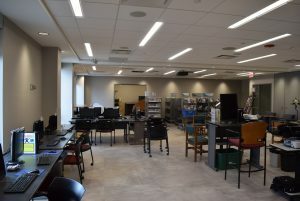 The new Digital Media Lab space on the second floor of the expansion. 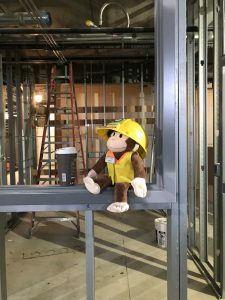 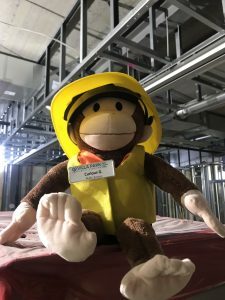 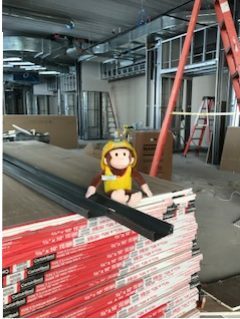 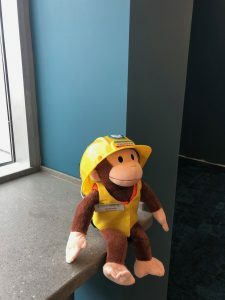 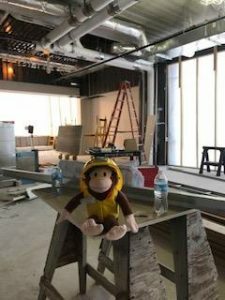 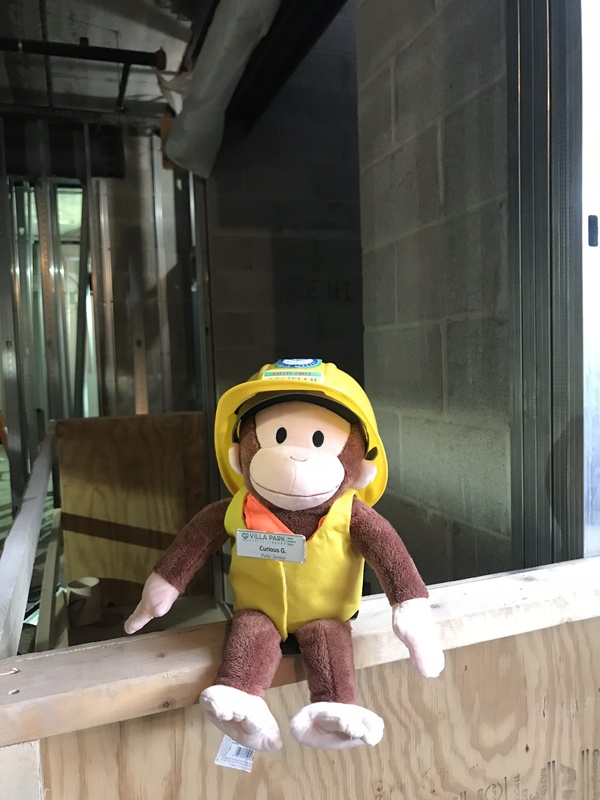 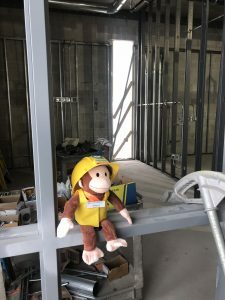 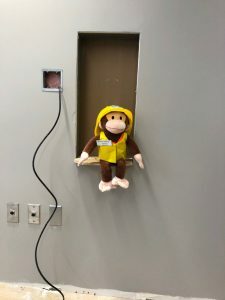 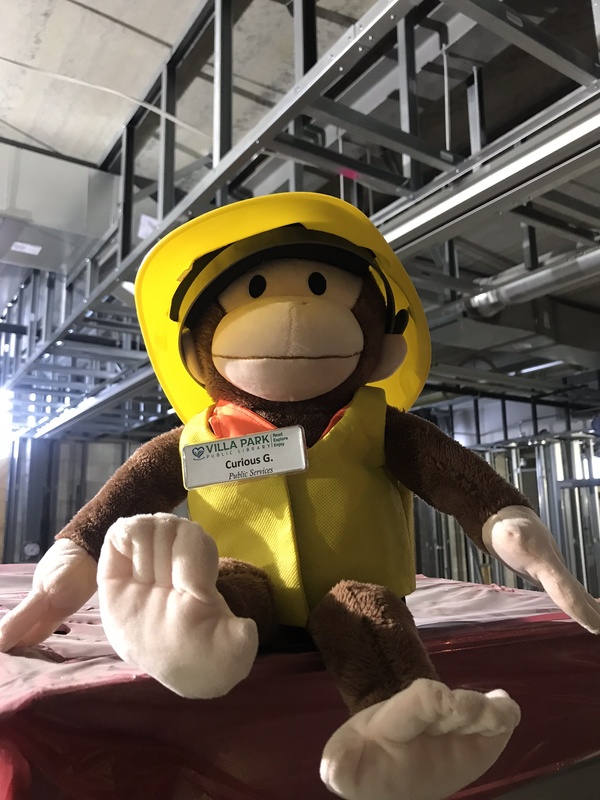 Curious G is excited about the new Group Collaboration Room on the second floor of the expansion. 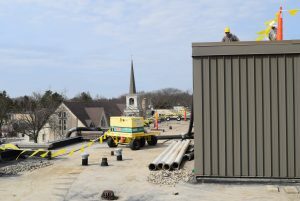 View from outside the DML and GCR on the second floor of the expansion. 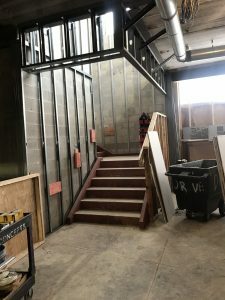 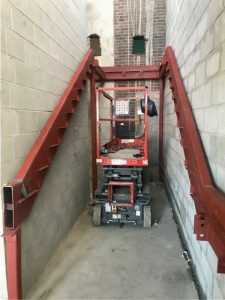 First floor stairway installation in the expansion. 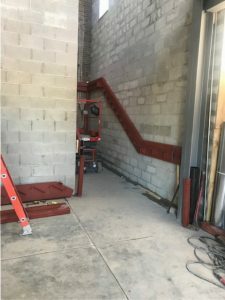 Stairway installation in the first floor expansion. 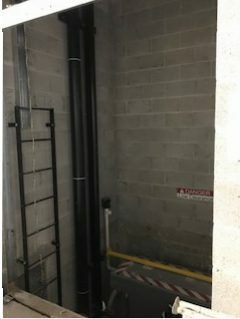 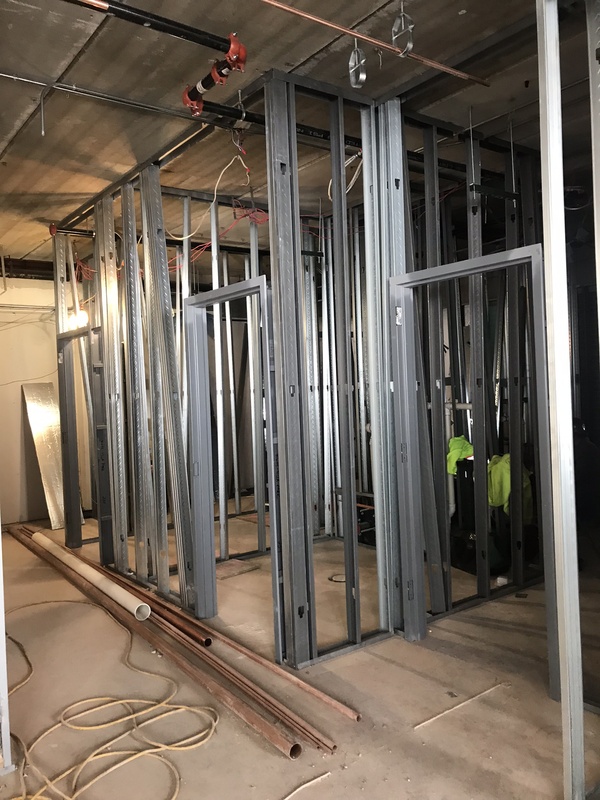 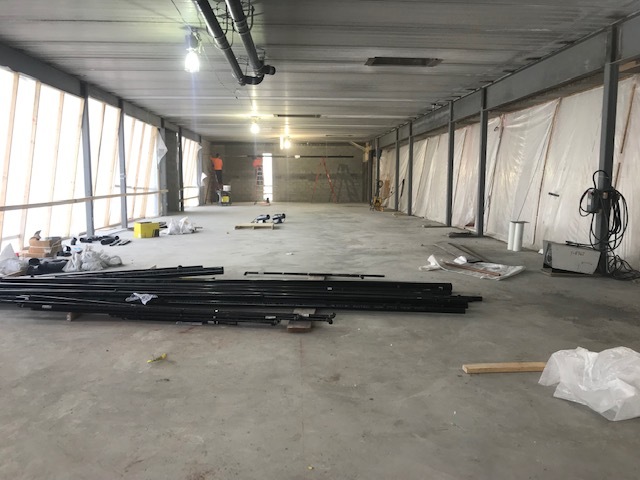 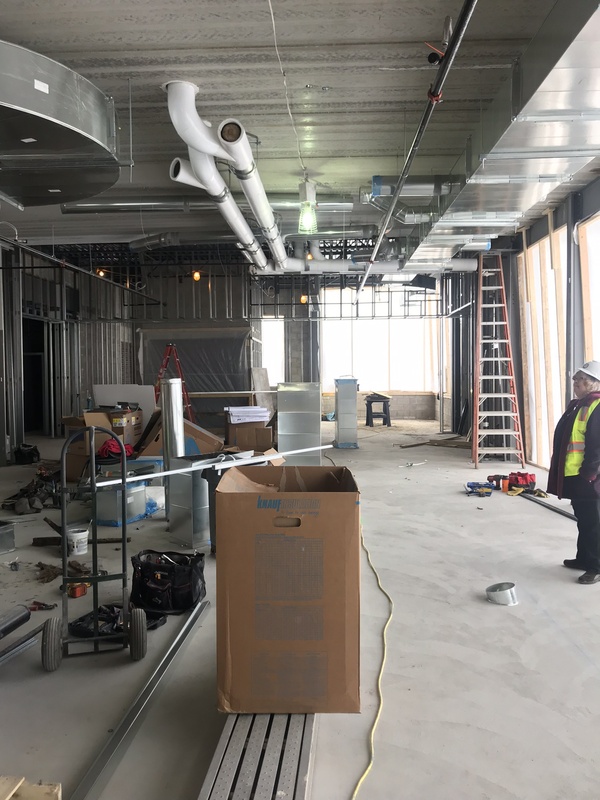 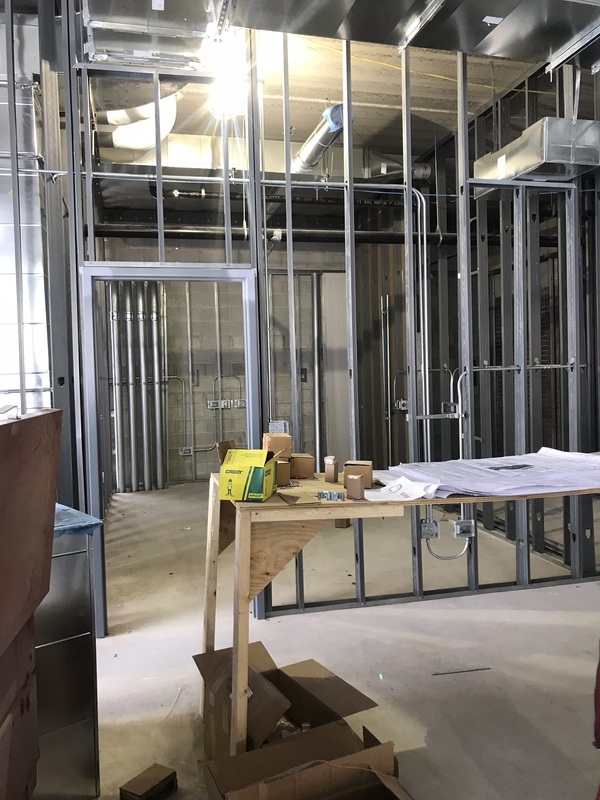 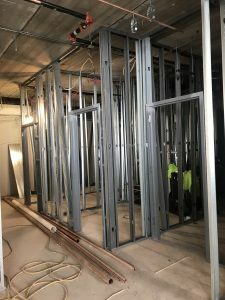 Work on the electrical, sprinkler system, and ducts on the 2nd floor of the expansion. 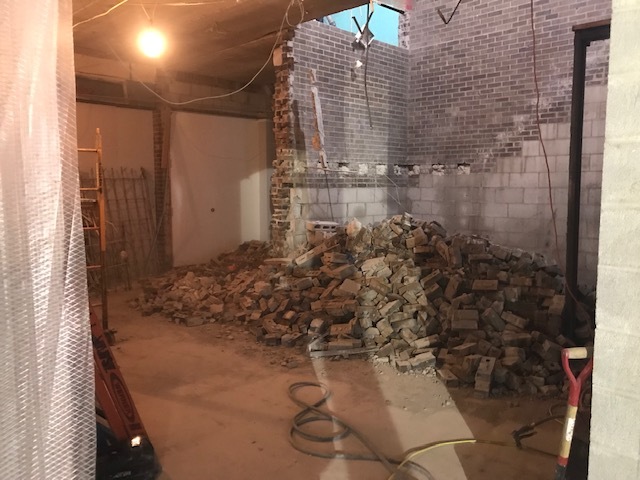 Demolition of existing walls for future bathrooms. 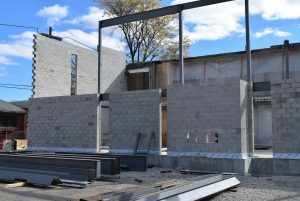 1st floor addition taking shape. 1st floor addition taking shape from new main entrance. 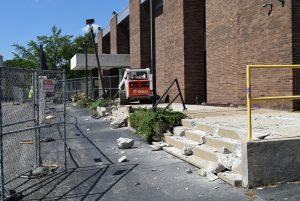 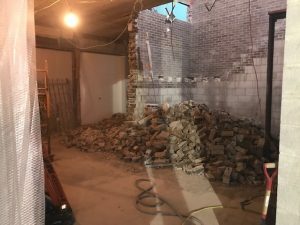 Demolition of old offices, GCR, and stairwell. 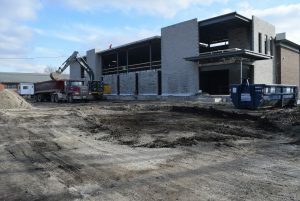 View of new main entrance from parking lot. 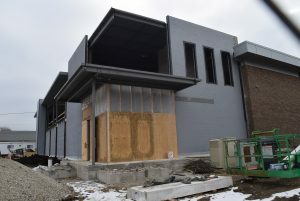 New masonry on exterior is complete. 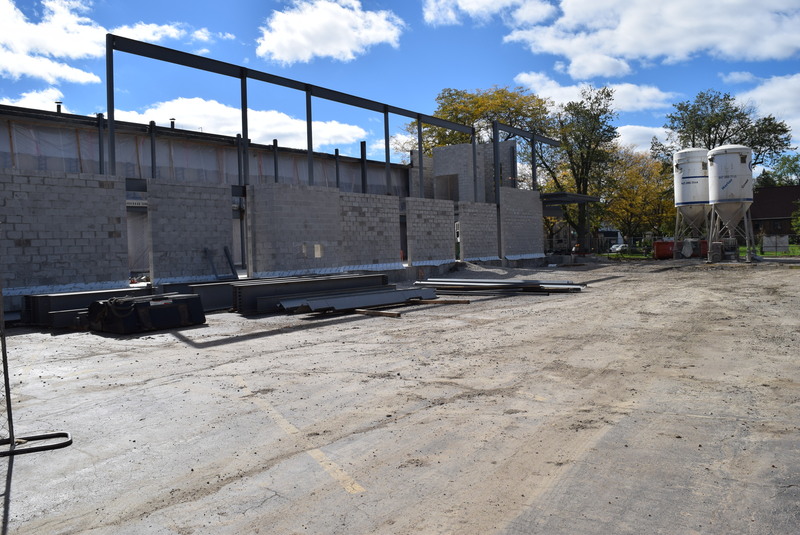 View of drive up book return and north side of building with new masonry. 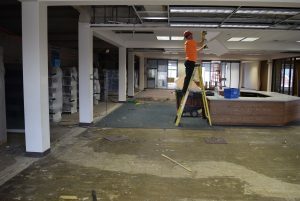 Demolition of 2nd floor office and stairwell. 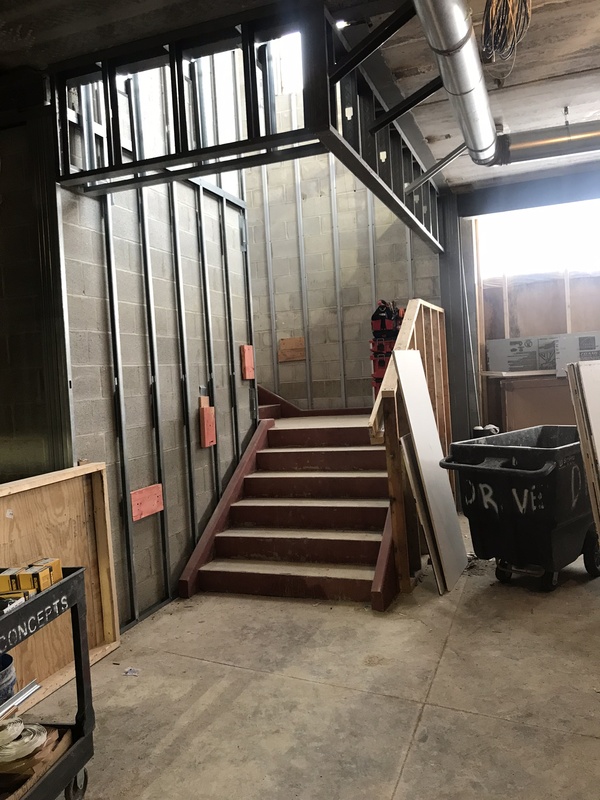 View of 2nd floor addition from new stairwell. 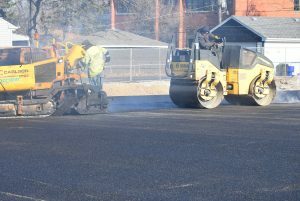 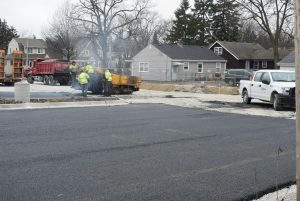 Paving of the new parking lot begins. 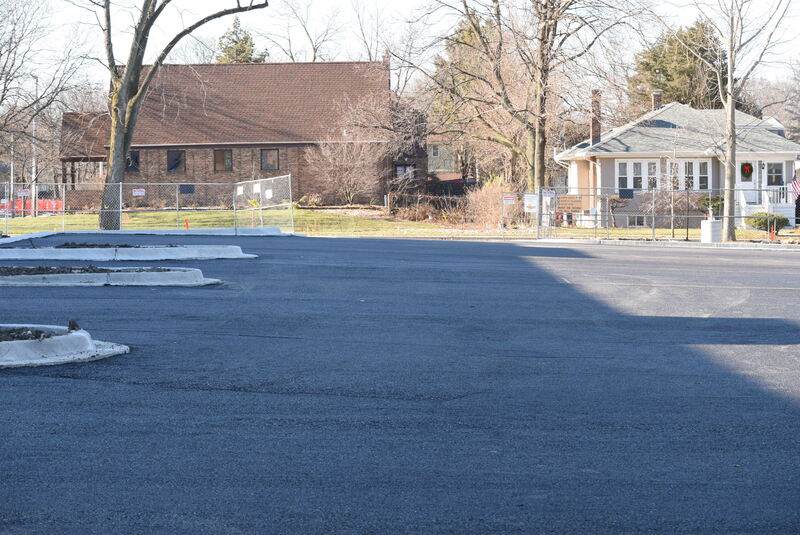 Prepping the new parking lot for asphalt. 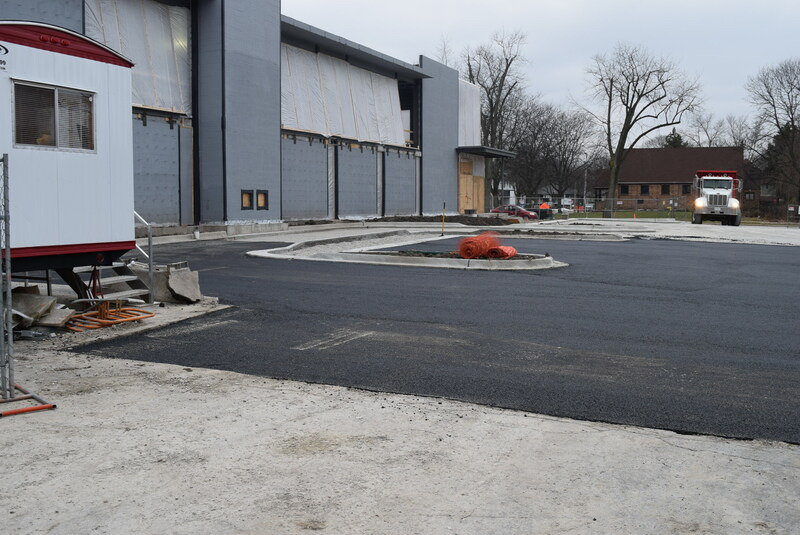 Gravel around the islands in the new parking lot on the north side of the building. 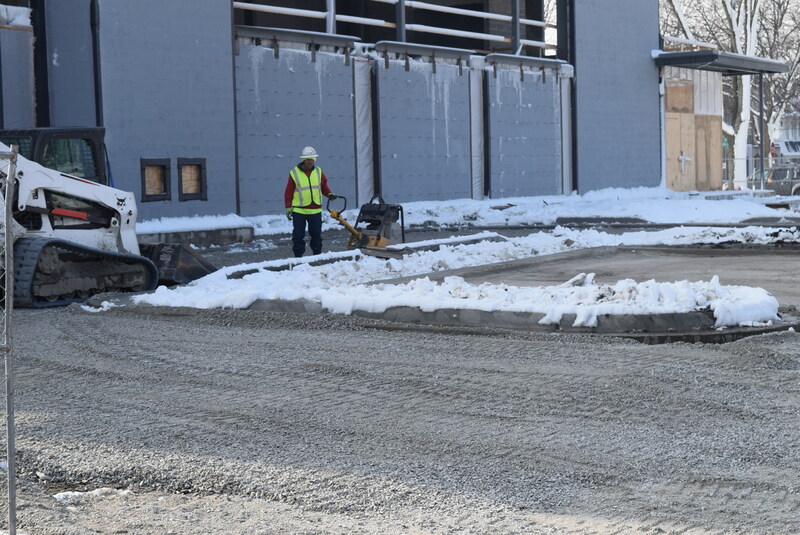 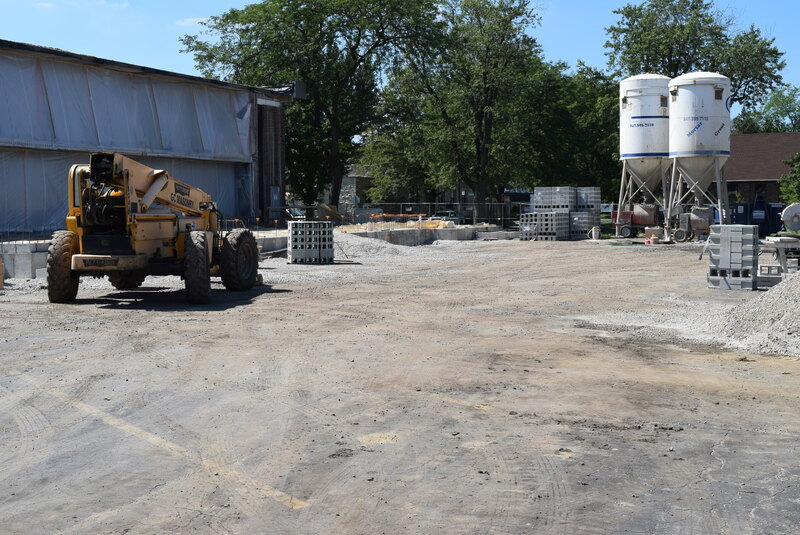 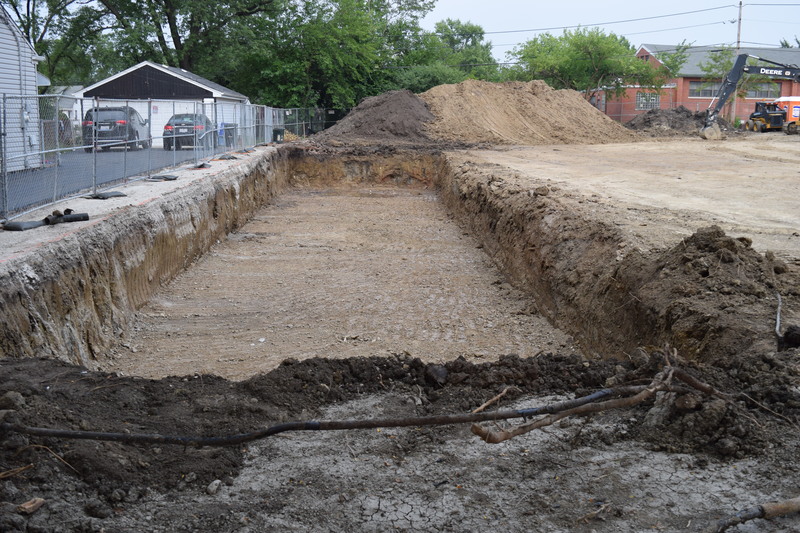 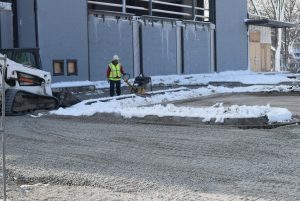 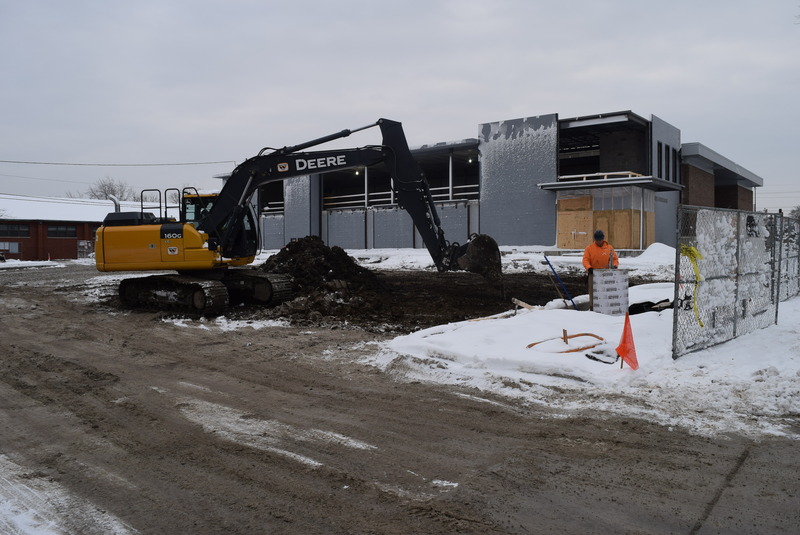 The new parking lot on the north side of the building has been leveled in preparation for asphalt. 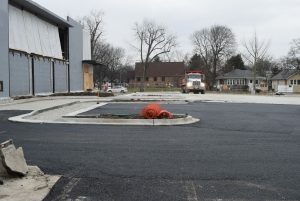 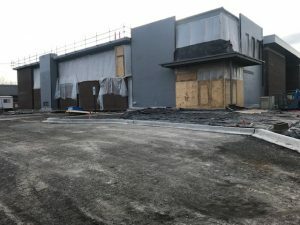 Looking east from the sidewalk on Ardmore Avenue into the new parking lot and new front entrance. 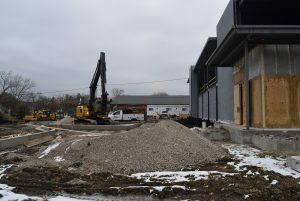 New front entrance. 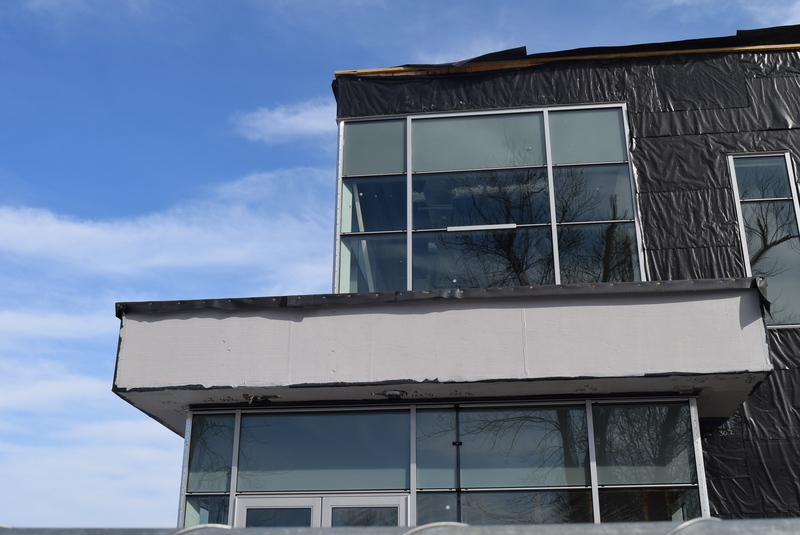 The exterior masonry has been covered in a waterproofing coat. 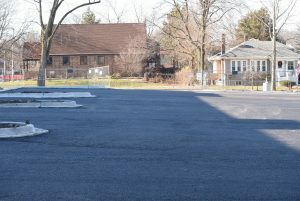 Looking northeast from the sidewalk on Ardmore Avenue. 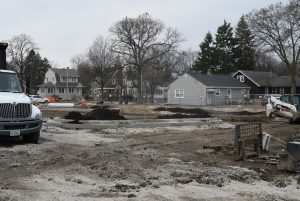 Looking northwest from near St. Alexander’s, the islands in the new parking lot are beginning to take shape. 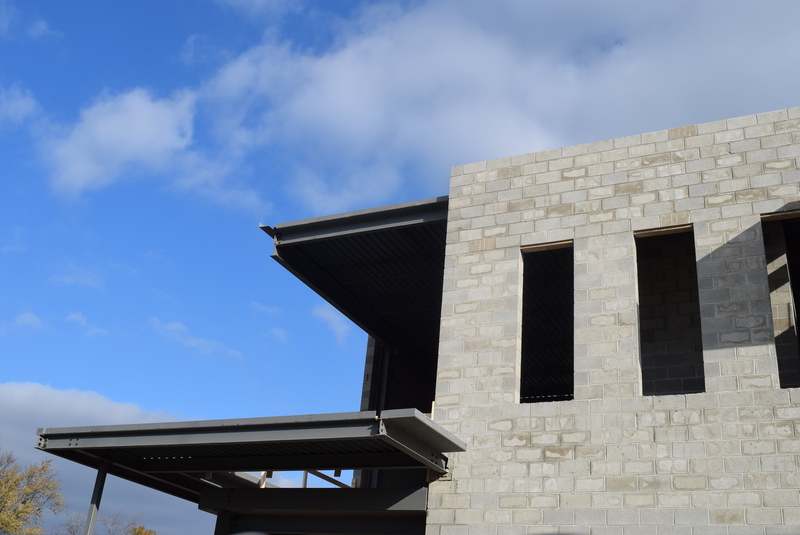 Adding concrete planks for the second floor. New entrance with concrete planks for 2nd floor installed. 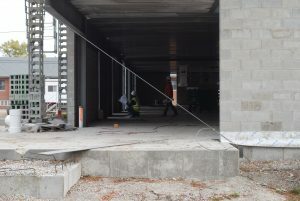 Looking into the new main entrance. 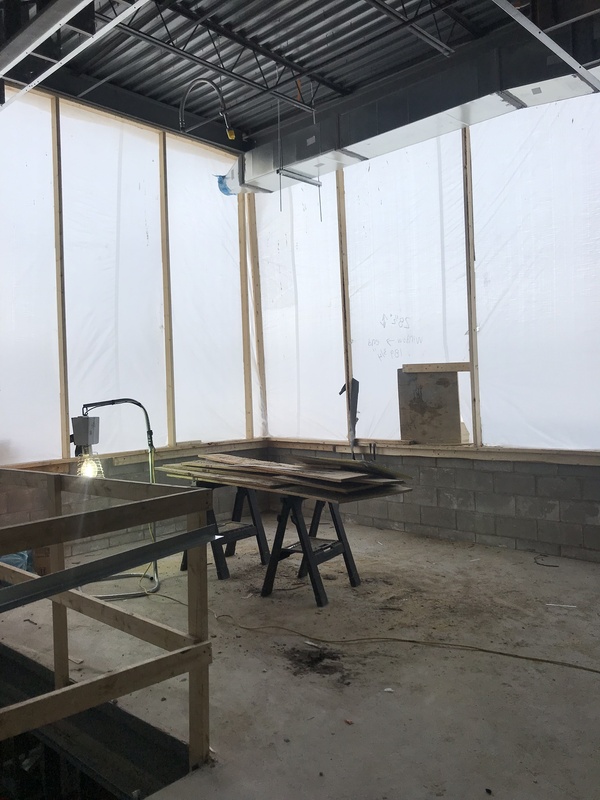 Looking to the south, concrete planks being added to the ceiling of the 2nd floor. 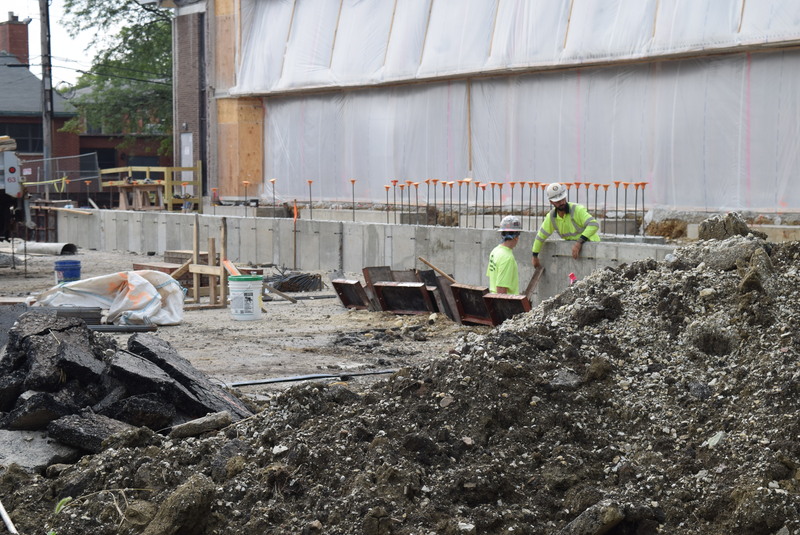 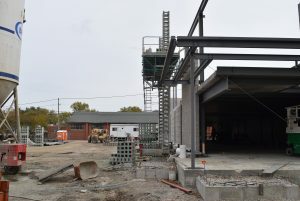 This photo shows where the new main entrance will be and also, the stairwell. Looking at the new addition. The two small windows in the lower part of the photo will be the drive-up book return. 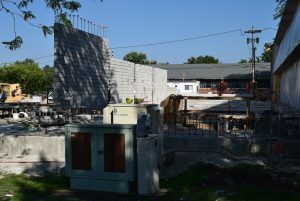 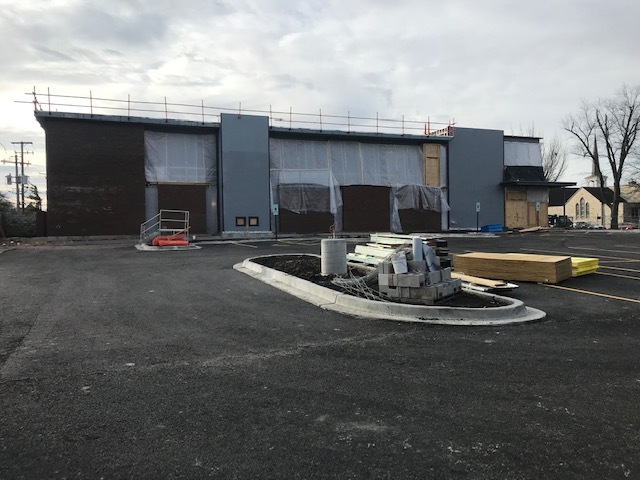 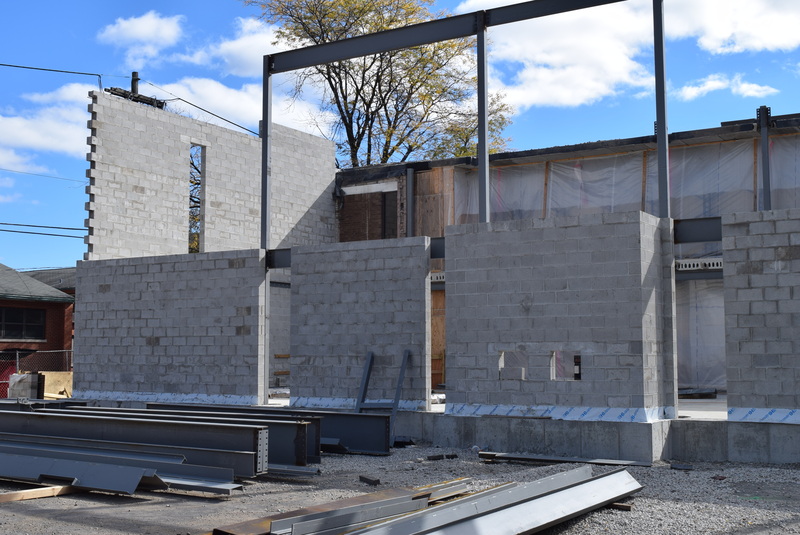 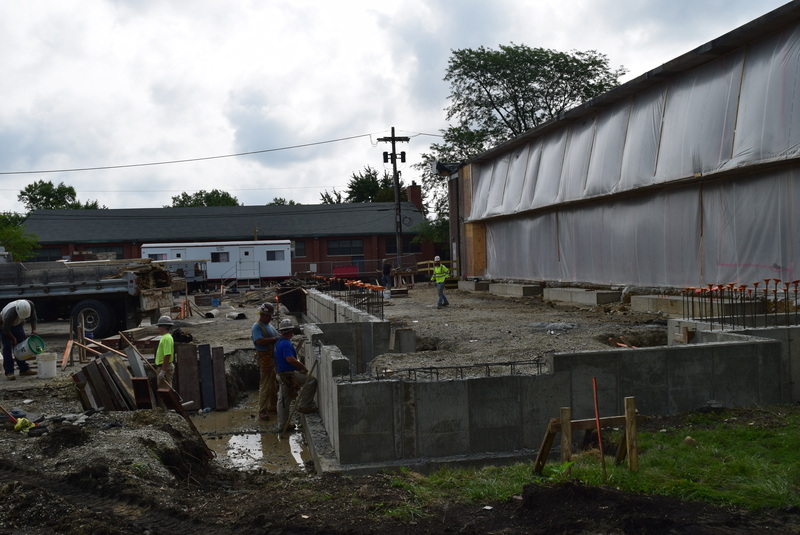 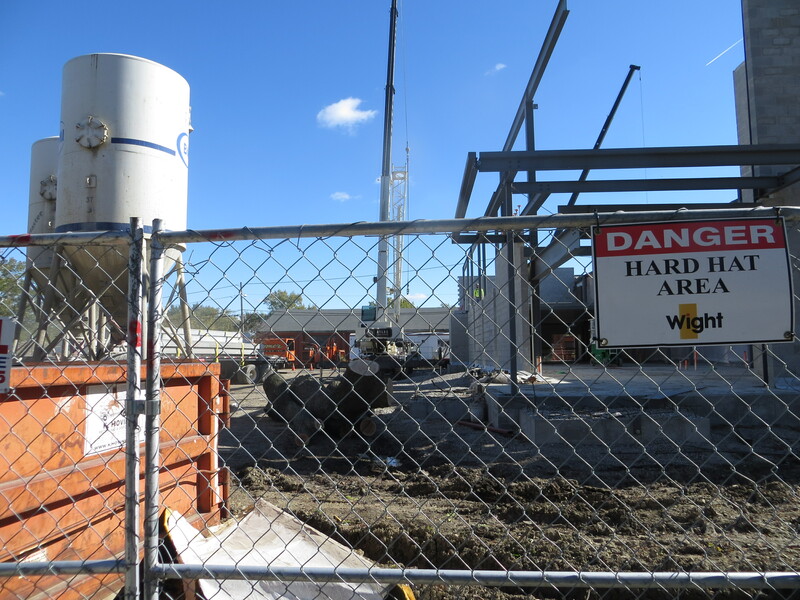 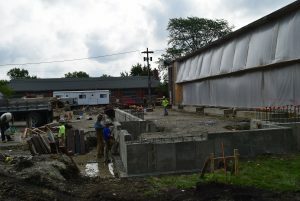 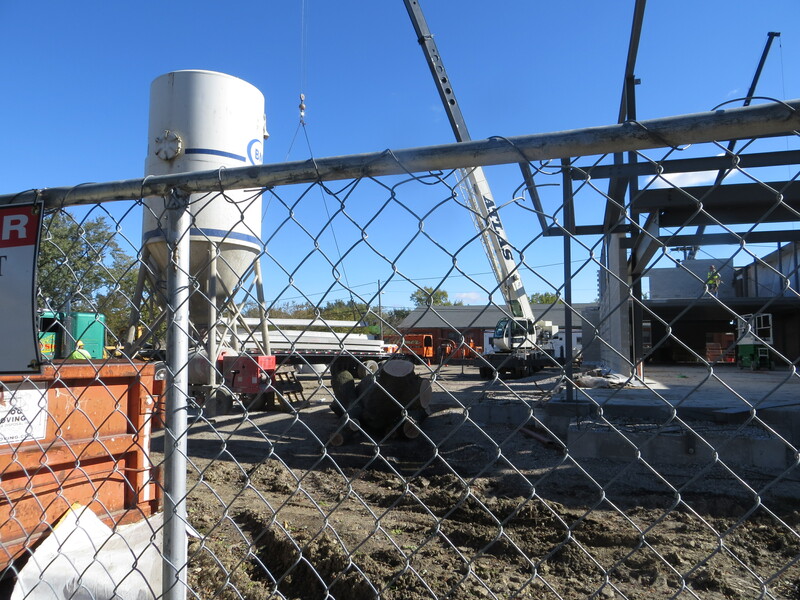 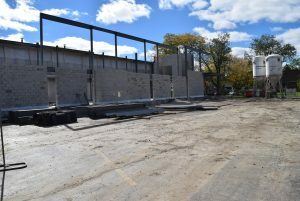 New addition – steel, and masonry going up. 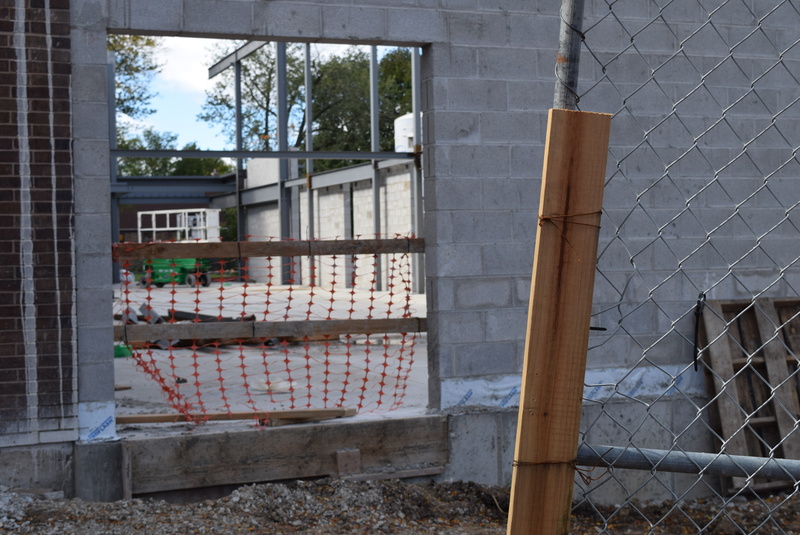 Looking into the partially constructed new addition from the east. 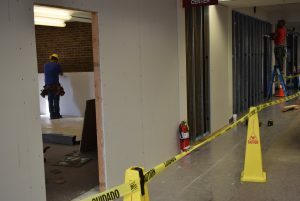 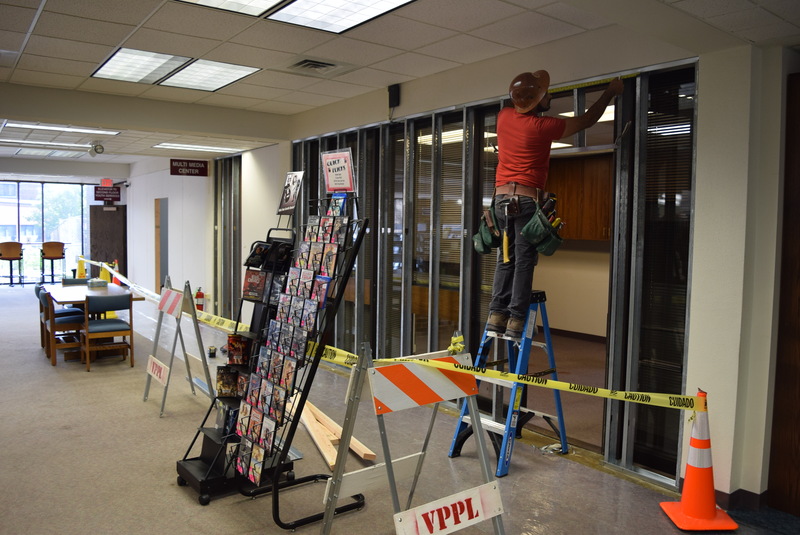 Temporary wall being constructed on the south side of the first floor in the old high school collection area. 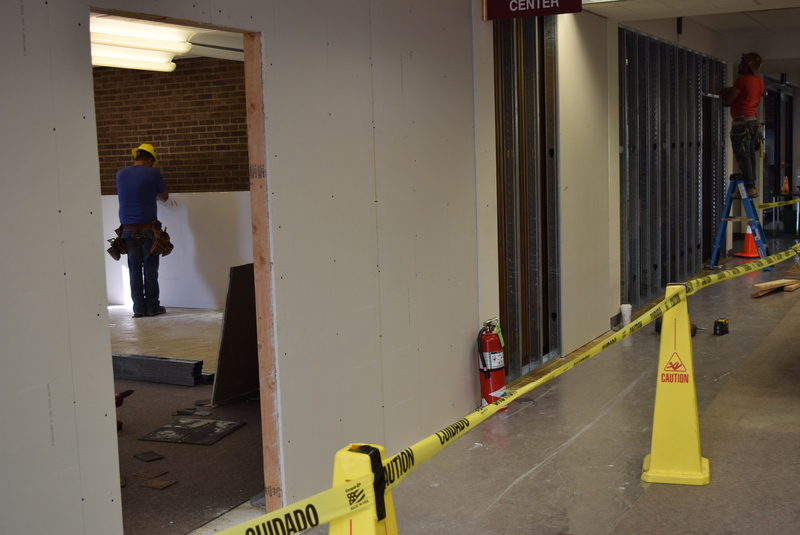 Temporary wall going up on the south side of the first floor. 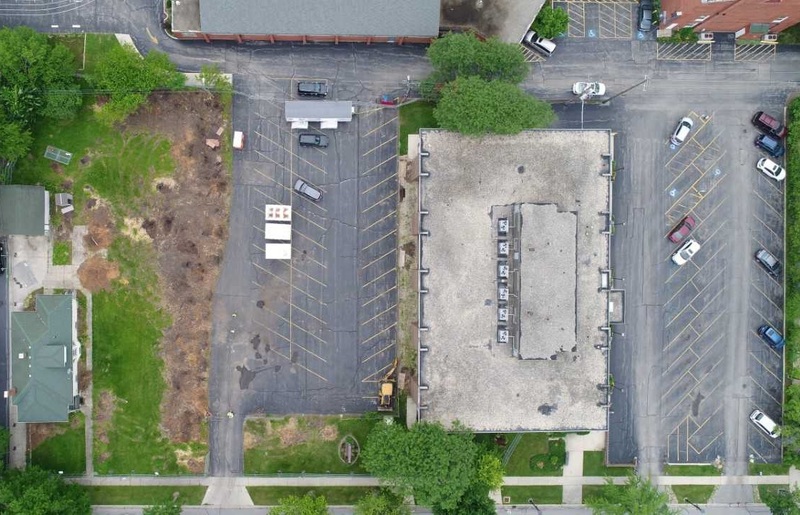 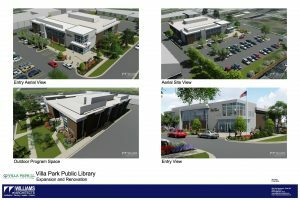 Here are some photos taken by drone of the Villa Park Public Library project. 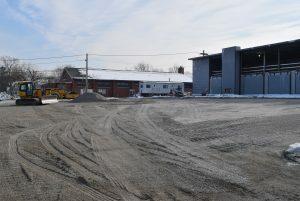 Photos were provided by Wight & Company. Here’s an animated video walk-through of the newly renovated and expanded Villa Park Public Library provided by Williams Architects. 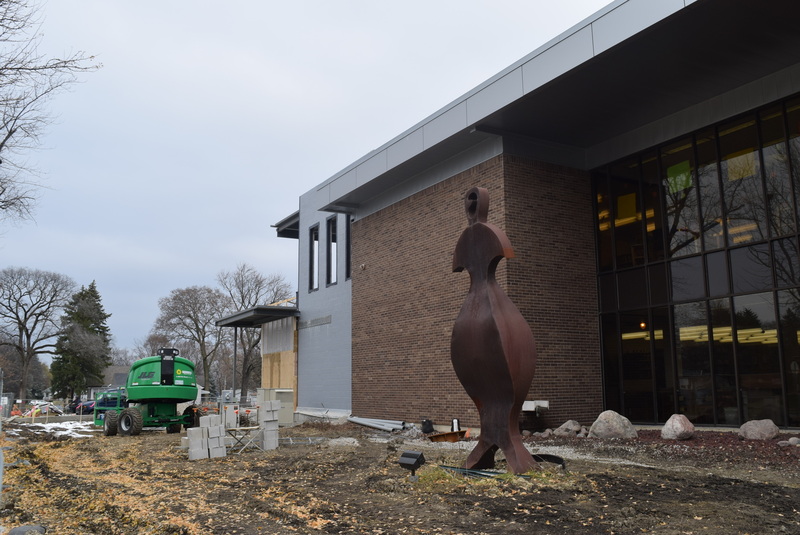 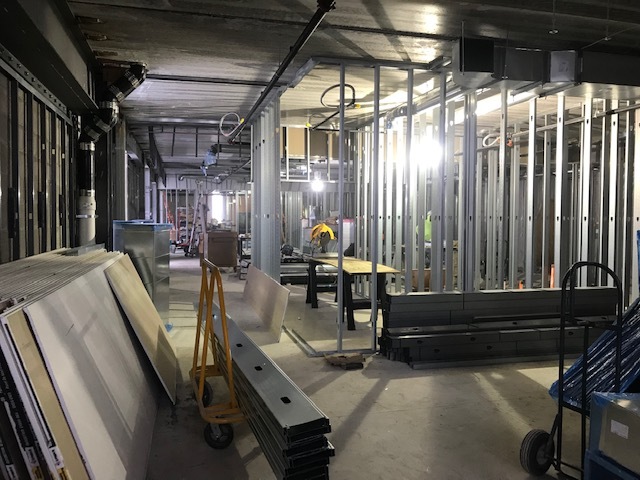 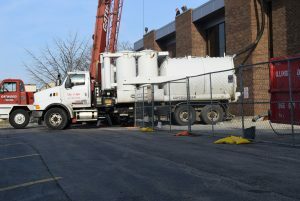 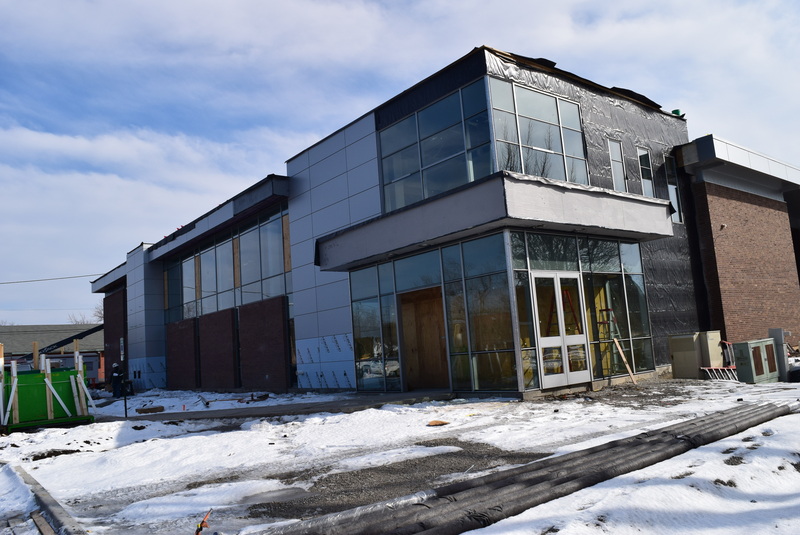 On May 8th, the Library Board approved a contract with Wight Construction Services of Darien, IL for the expansion and renovation of the library building. 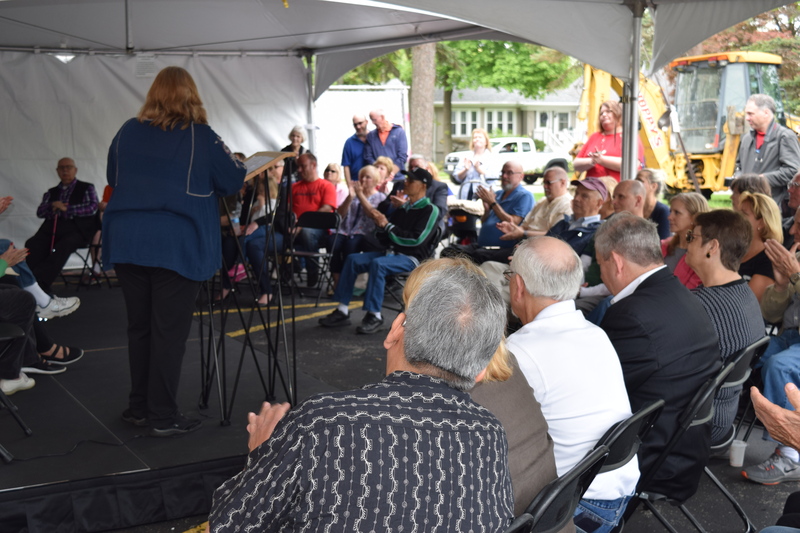 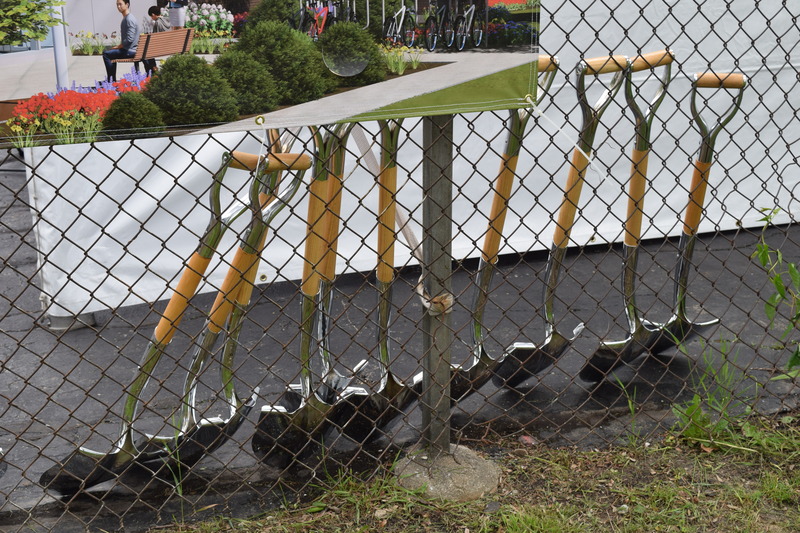 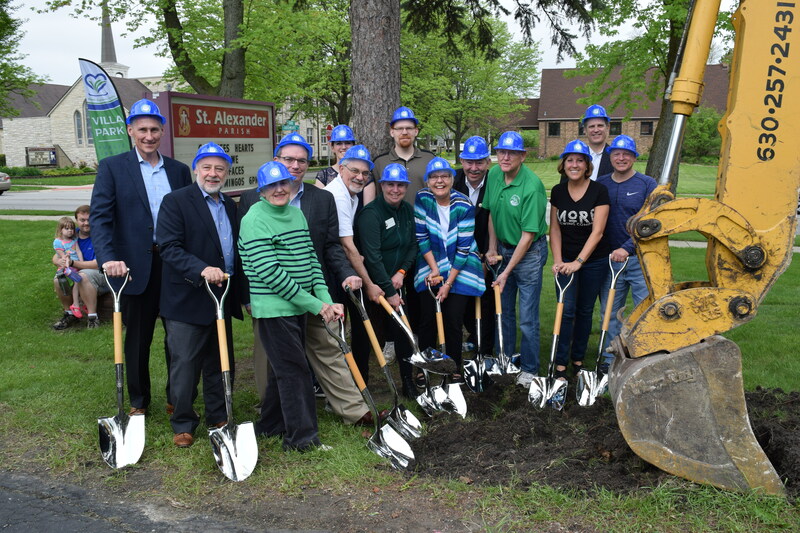 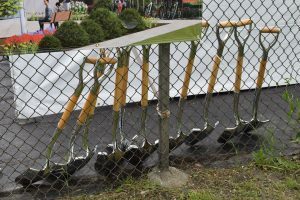 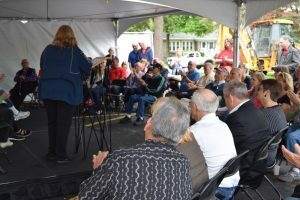 The Library Board worked with the architects, owner’s representative, and Wight Construction Services on the groundbreaking event which was held this past Saturday, the 19th. 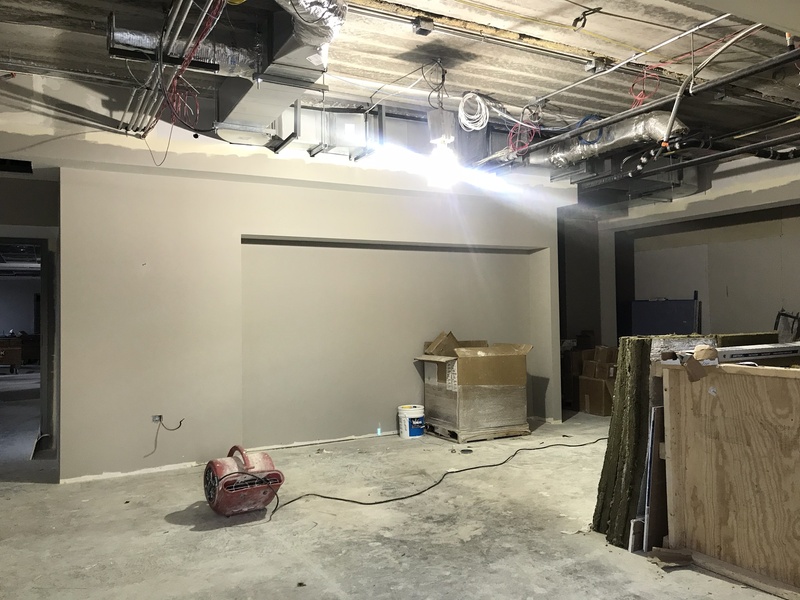 Interested bidders must complete AIA Document A305, Contractor’s Qualification Statement together with the Supplement to the Contractor’s Qualification Statement. This material will be available from the library website from 2/22/18 and can be submitted to Sandra Hill and Graham Harwood via the following e-mails shill@vppl.info and gharwood@ccsdifference.com by 2 PM on 3/5/18. 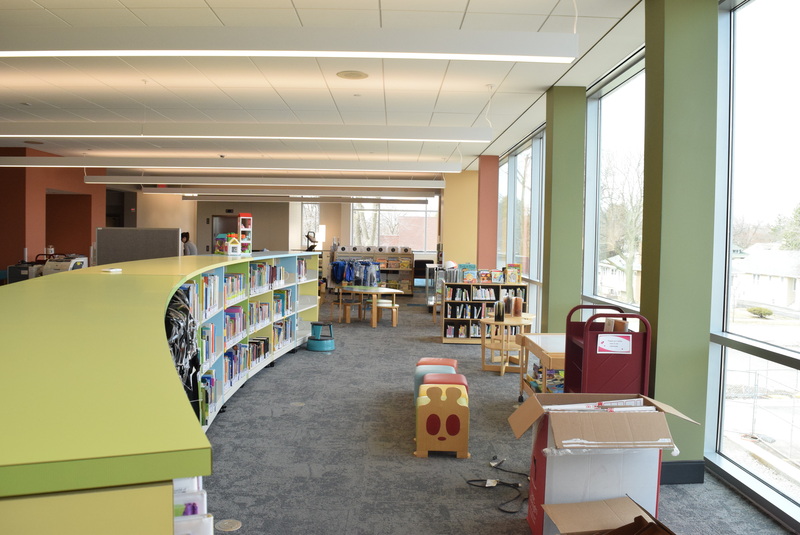 Hard copies can be delivered to Villa Park Public Library before 2 PM on 3/5/18. 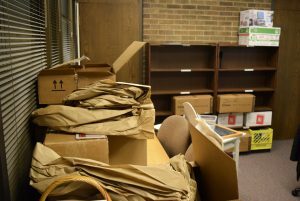 All materials delivered must be submitted in a clearly marked envelope stating “Villa Park Public Library Prequalification Materials”. Failure to perform the above may deny prequalification to the bidder by the Owner. 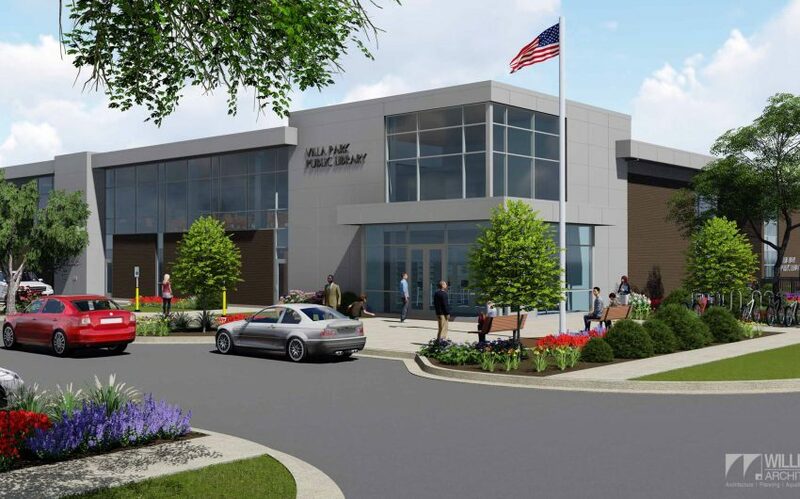 A set of construction document drawings prepared by Williams Architect delineating the scope of the project is available for review only at Villa Park Public Library, 305 Ardmore Ave. Villa Park, IL 60181. 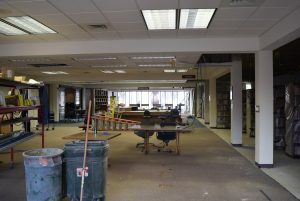 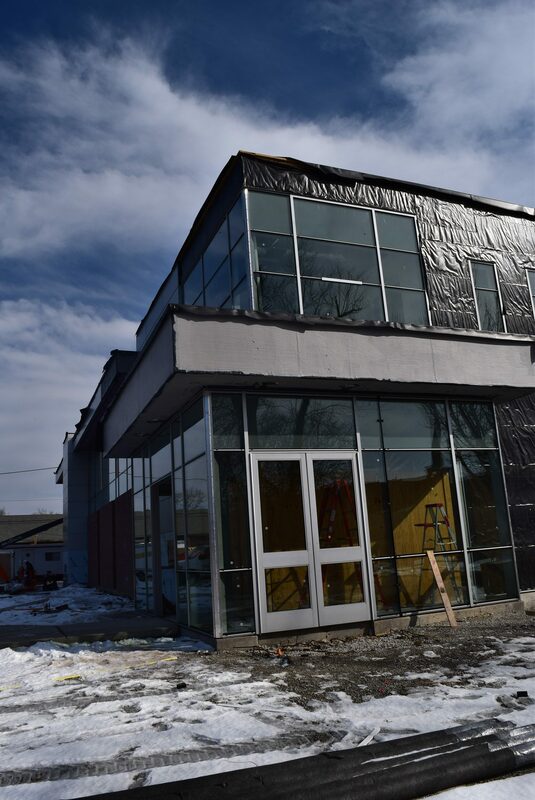 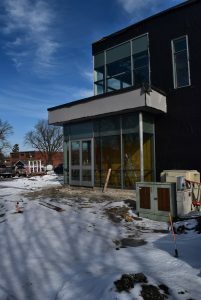 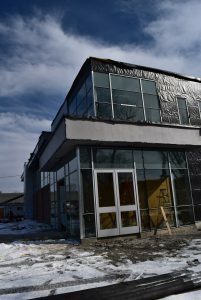 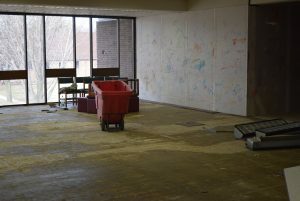 The Library Board expects to go out to bid on the building renovation project this March, with ground-breaking taking place in April. During these past few months, collections have been moved around in preparation for construction. 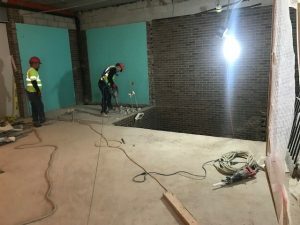 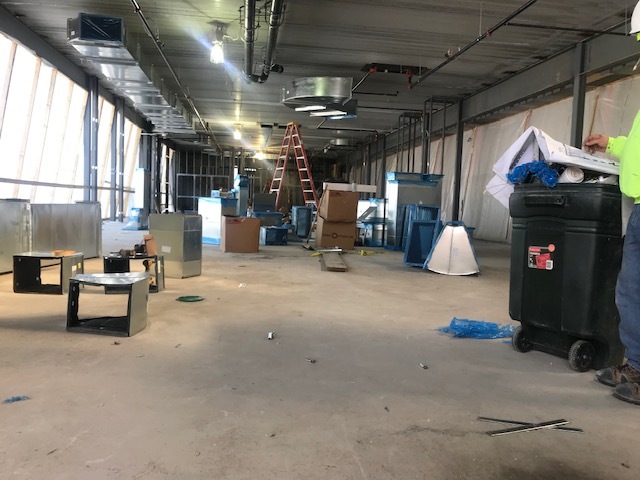 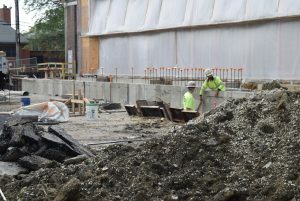 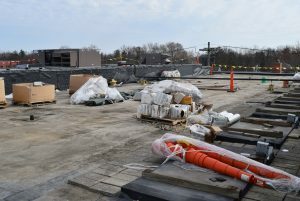 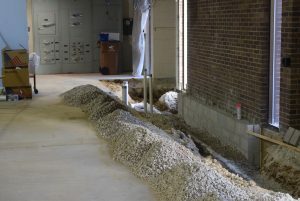 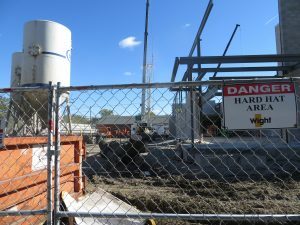 The primary focus of the first six months of construction will be on building the new addition to the library and on replacing existing building systems: new water supply lines; new storm water and sanitary connections; a new sprinkler system; new rooftop HVAC units; new electric supply; and a new roof. 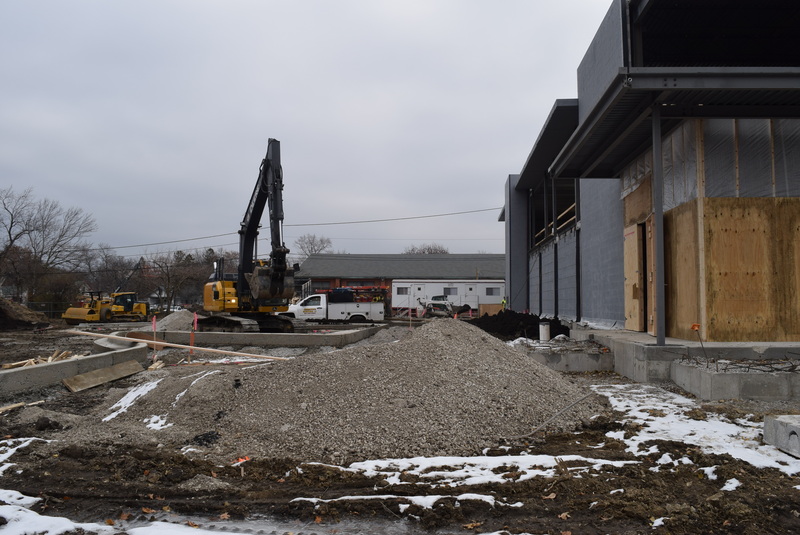 In addition, new bathrooms will be built in the existing building and 55 parking spaces will be created in the lot north of the library. 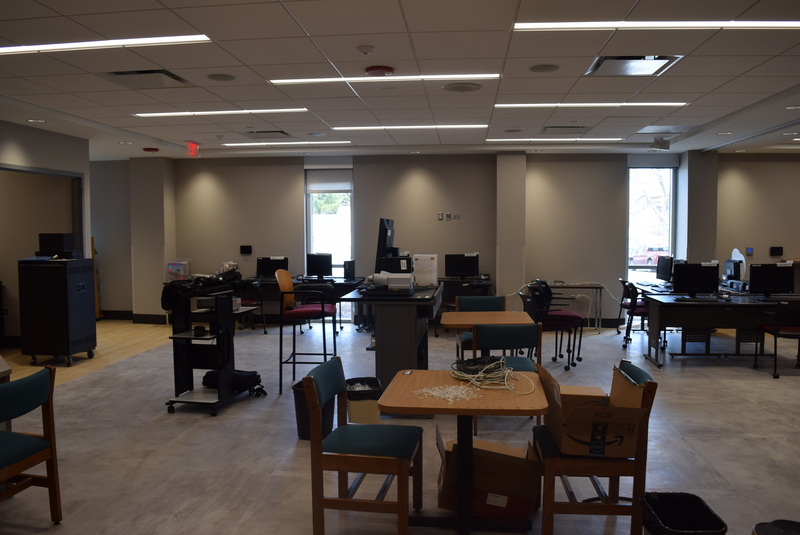 At the same time, some of our existing chairs will be reupholstered and put to use during the process of construction and will be reused in the new building space. 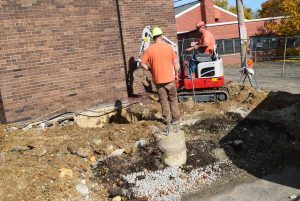 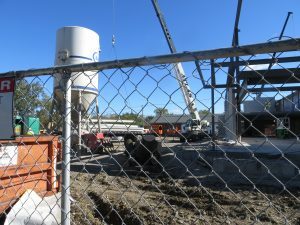 Once the addition has been completed, patrons and staff will use the new space while the existing building is renovated. 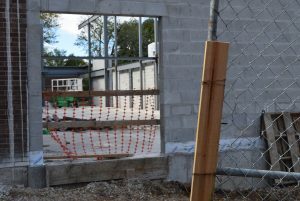 New walls, new pipes, and energy-efficient windows will be installed to finish updating the existing building. While all of this is happening, the library will continue to offer service to our patrons. 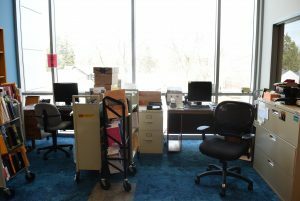 When you visit the library and are unable to find an item, please don’t hesitate to ask our staff members for assistance. 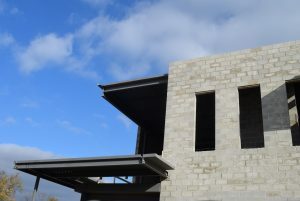 Building project updates will be made available on our website at: www.vppl.info and also on our social media outlets. 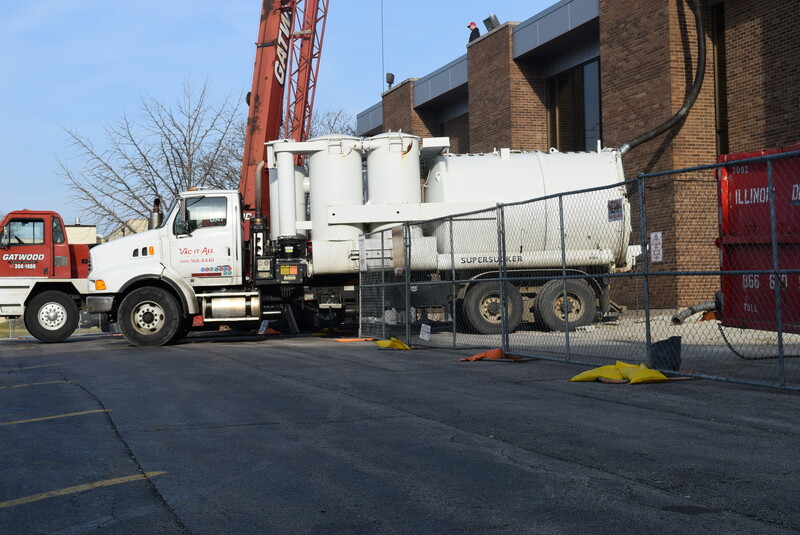 All abatement operations are being carried out at night to minimize disruption to patrons. 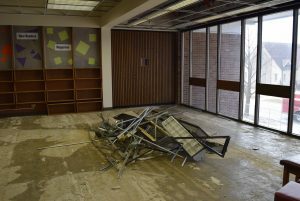 The floor tile that is being abated from the library has remained in intact condition for a number of years and therefore has not been a hazard to anyone occupying the building. 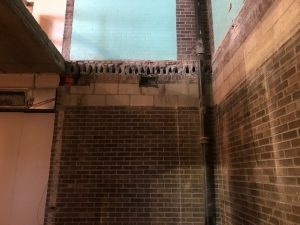 The asbestos content is only exposed when abatement or construction activities disturb the tile. 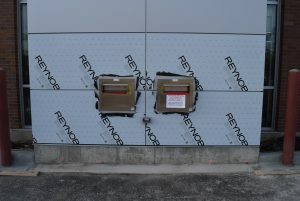 While tile is intact and not disturbed, there is no exposure risk. 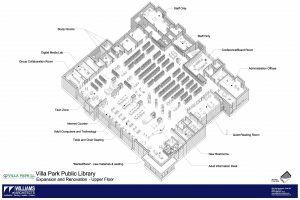 Midwest Environmental Consulting Services, Inc. (MEC) has been contracted by Villa Park Public Library to provide project management oversight and air monitoring to ensure compliance with all Local, State, and Federal asbestos regulations. 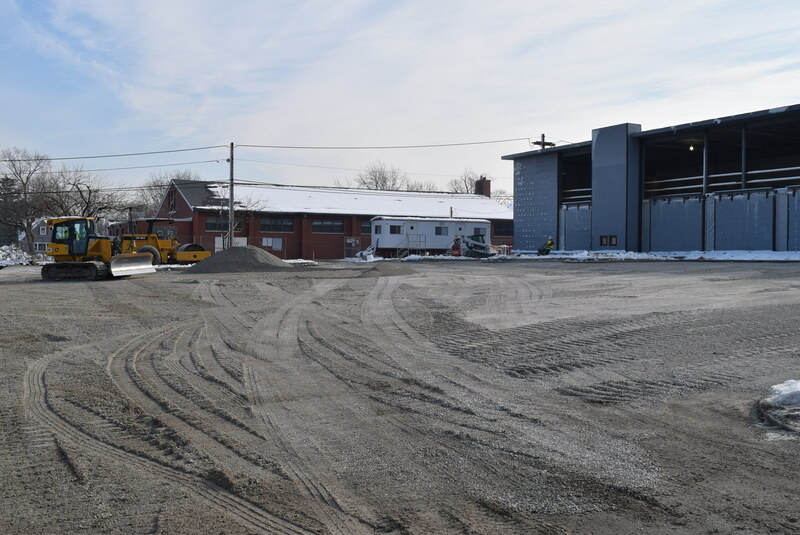 MEC will be performing daily air sampling for the duration of the abatement project to monitor potential airborne fiber concentrations inside and outside of the asbestos abatement work area, and clearance air sampling at the completion of the project, as required. All project management and air sampling will be performed by IDPH licensed personnel from MEC. 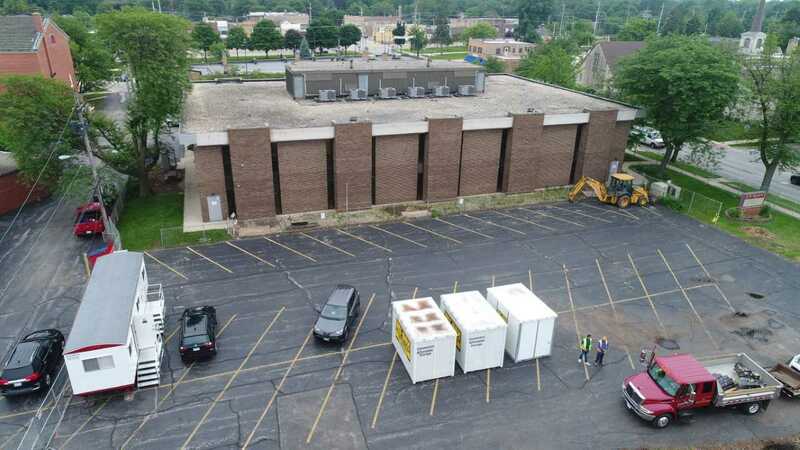 An Illinois Department of Public Health (IDPH) licensed asbestos abatement contractor will be performing all asbestos abatement activities and will also be utilizing IDPH licensed asbestos abatement workers. 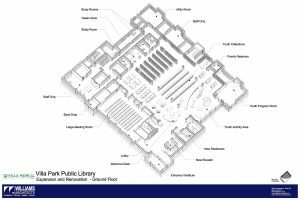 We placed a public notice in the Daily Herald (7/17/17) seeking Requests for Proposal for the Exterior Improvements to the library building (concrete fascia panel). We have hired a survey firm to complete a topographical survey of the complete site. We placed two public notices in the Daily Herald (7/19/17). 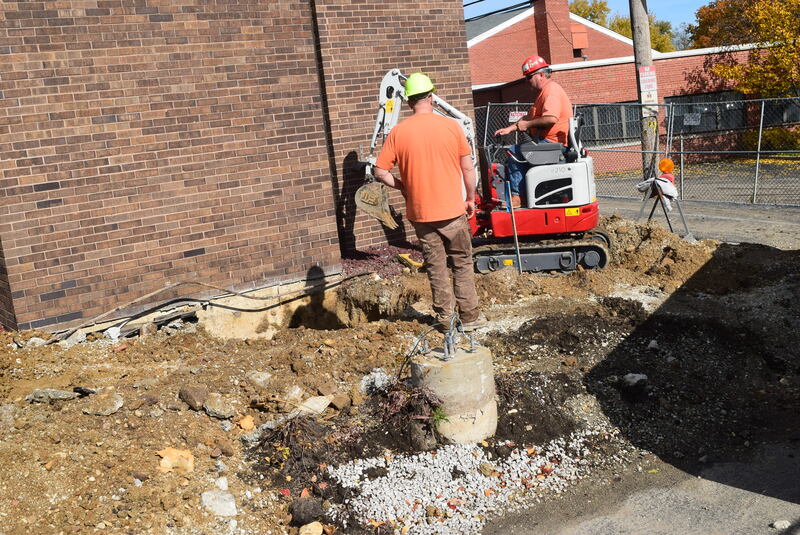 One is for geotechnical and soil boring services and the other is for an environmental site assessment.